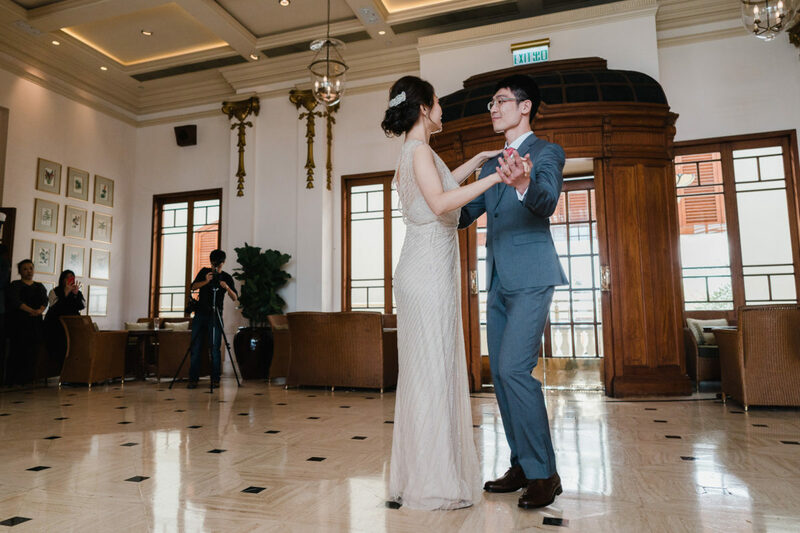 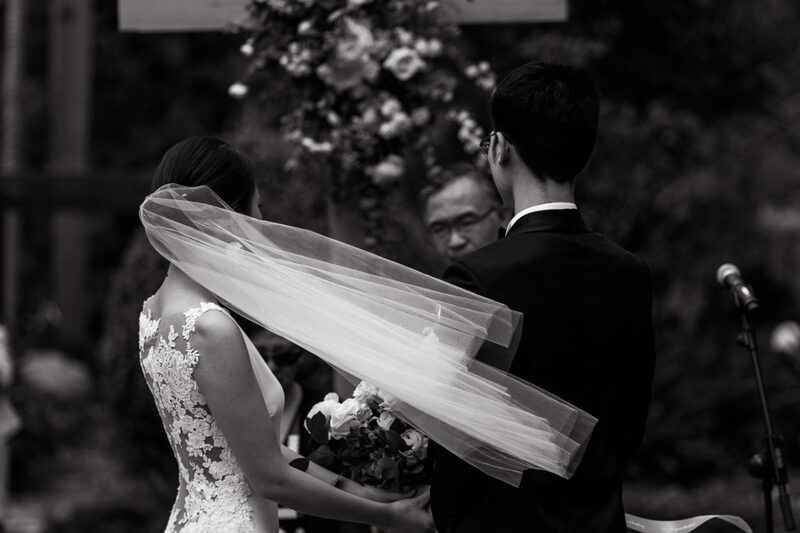 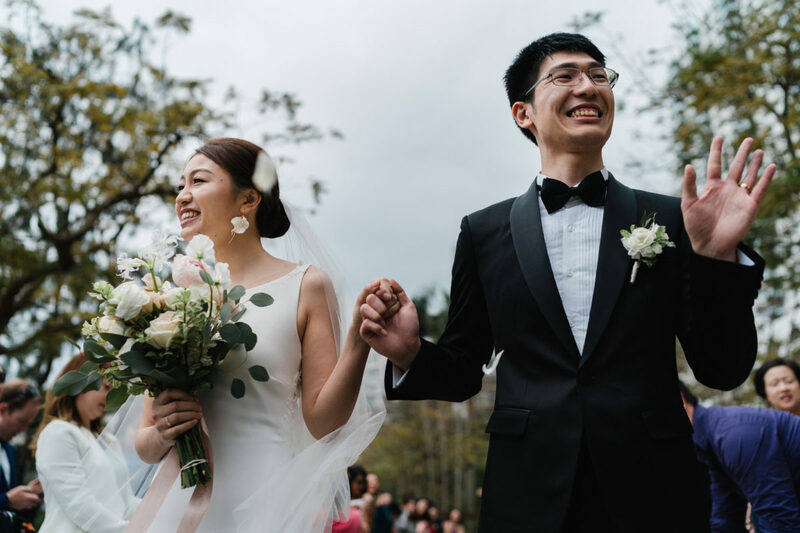 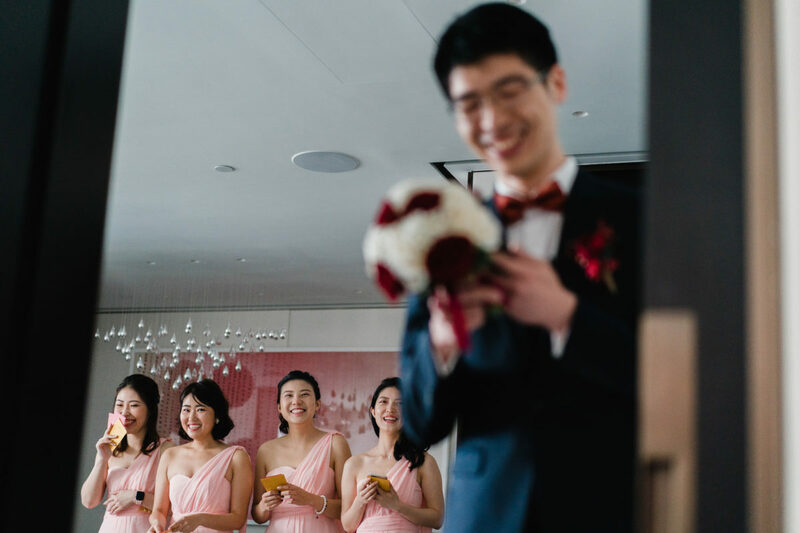 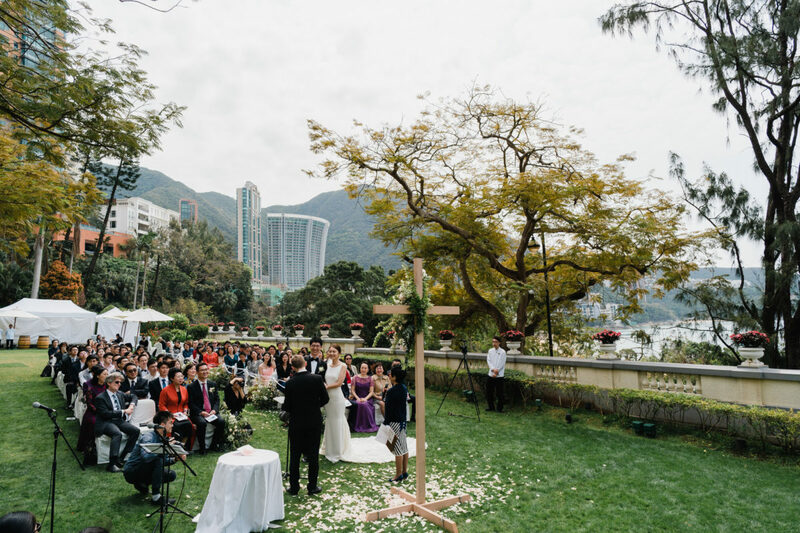 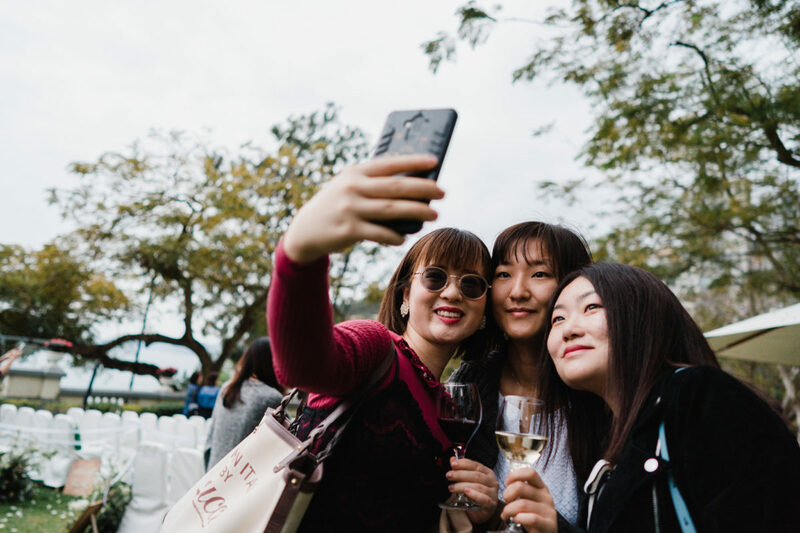 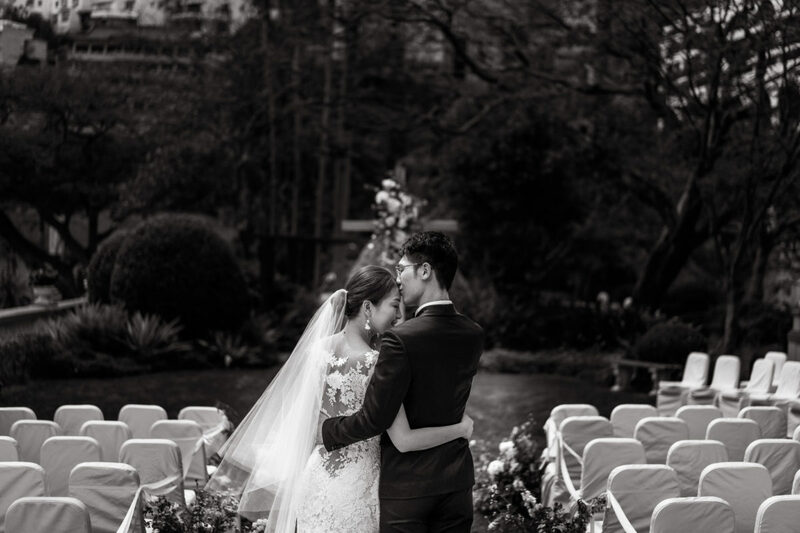 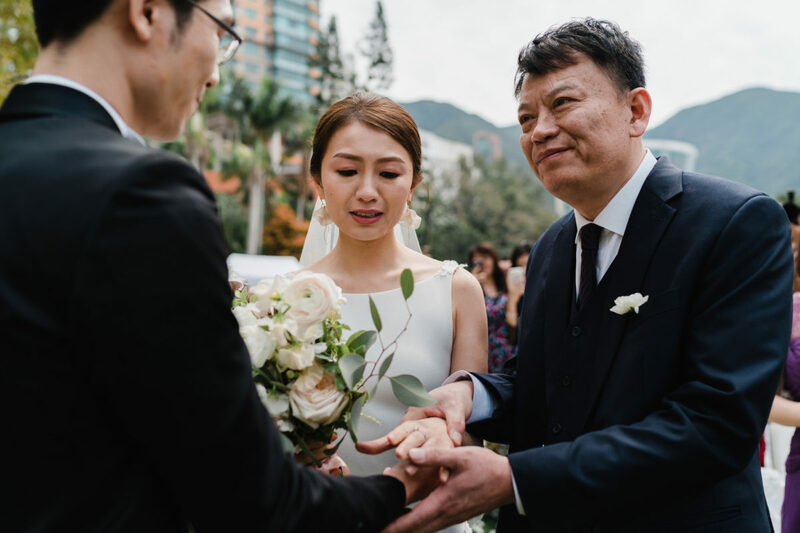 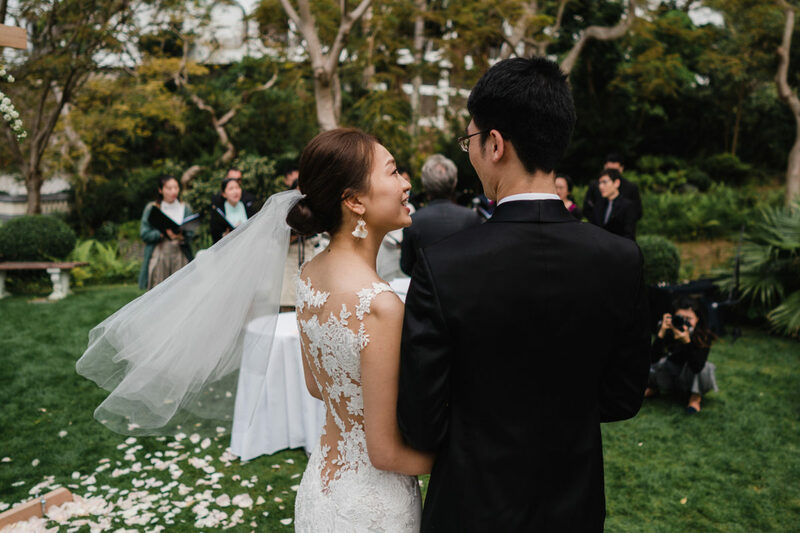 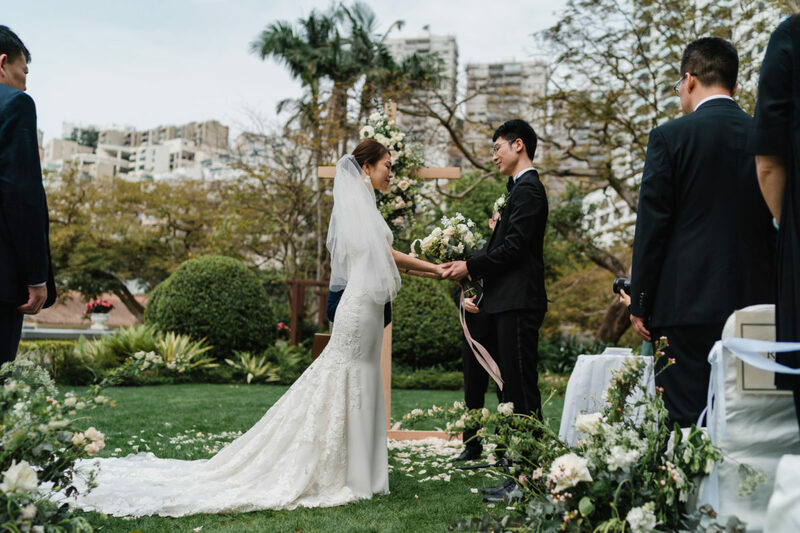 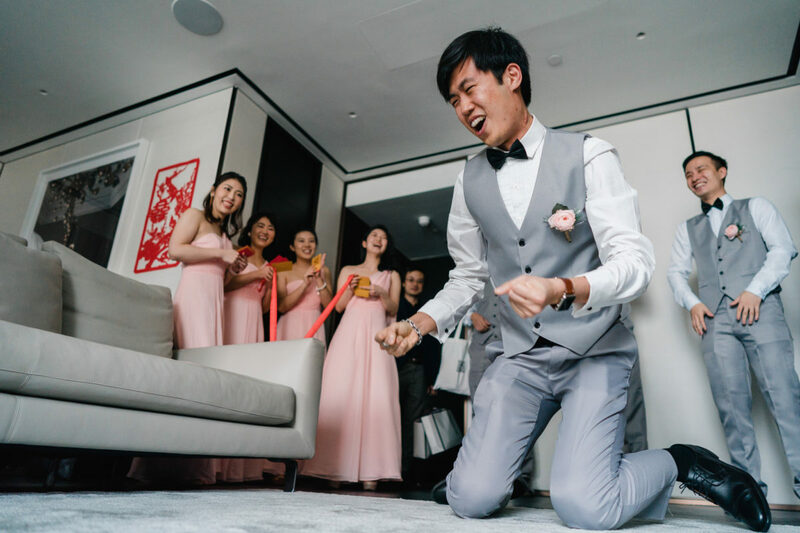 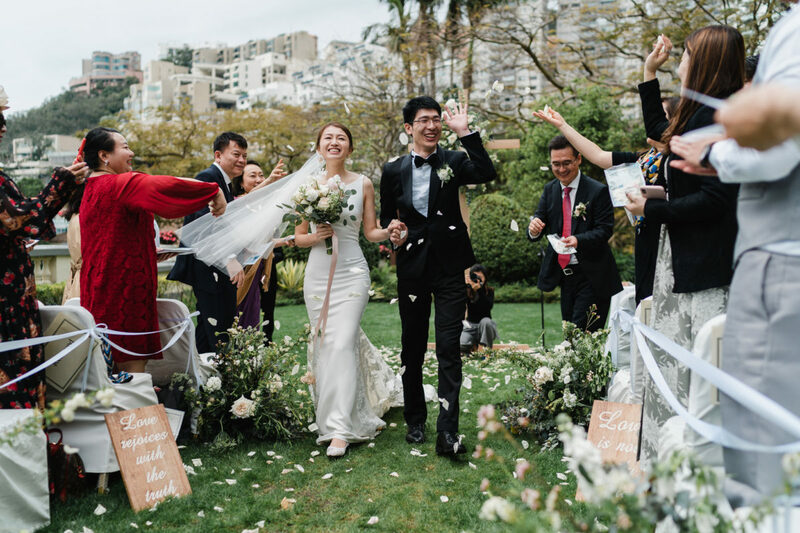 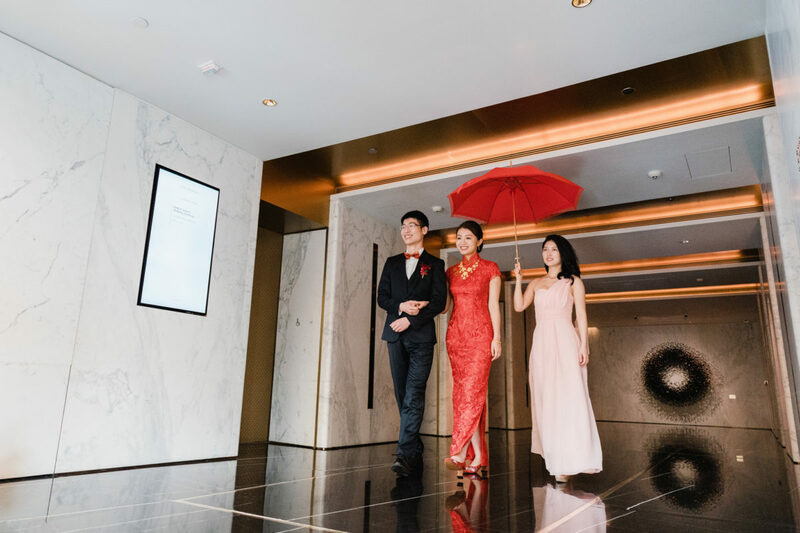 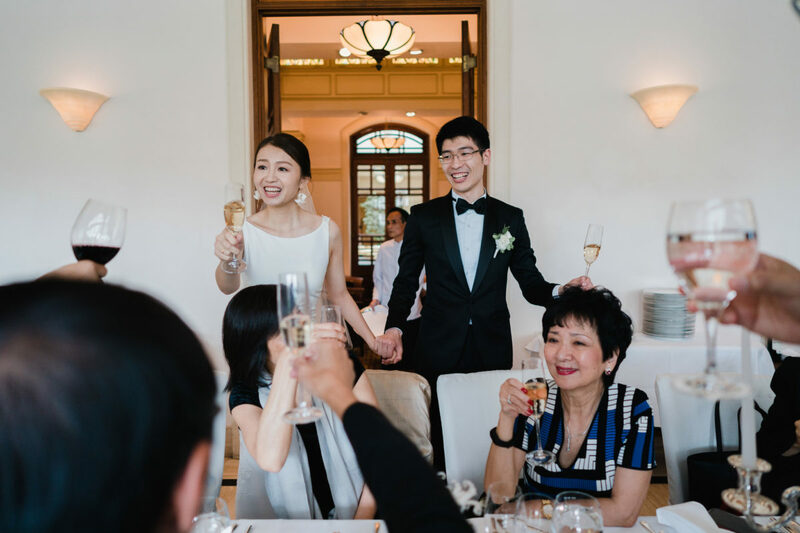 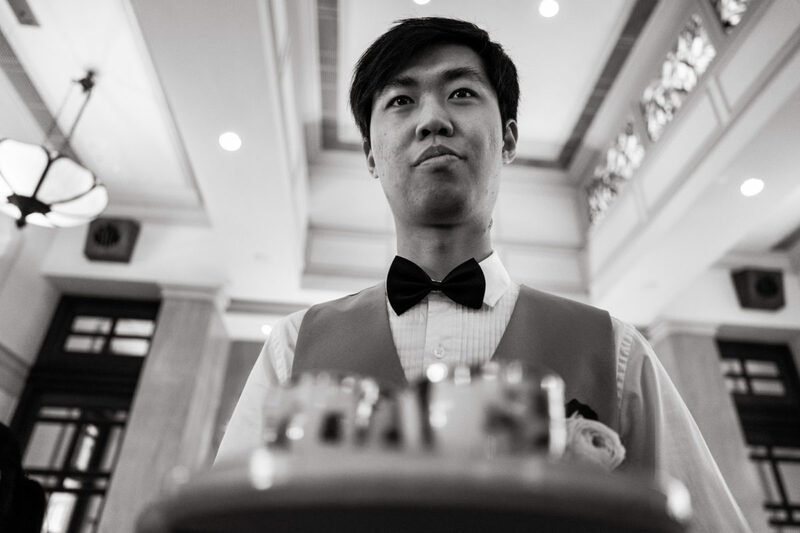 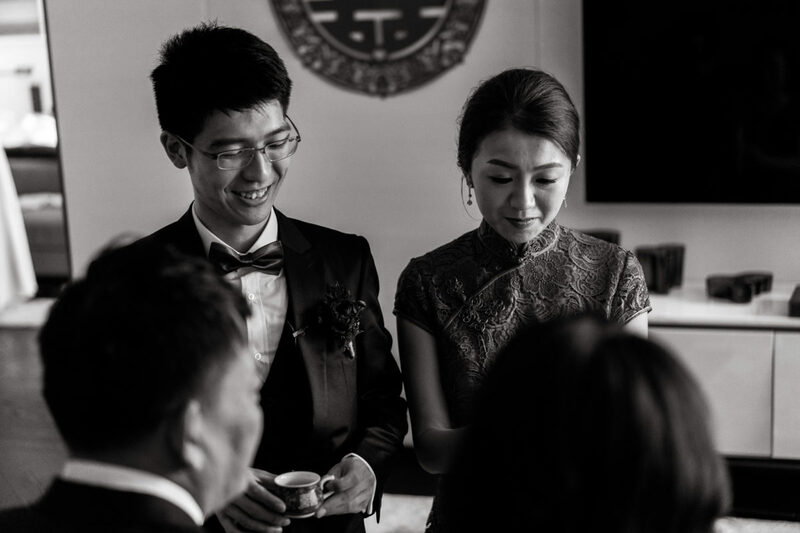 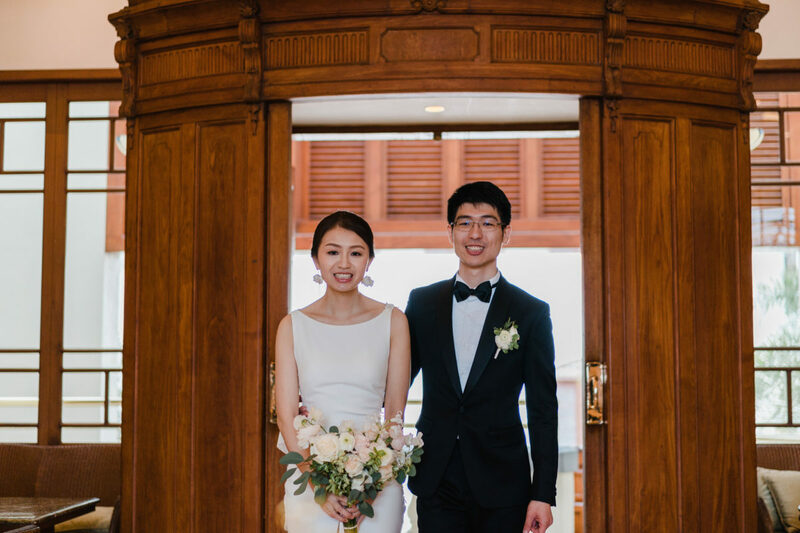 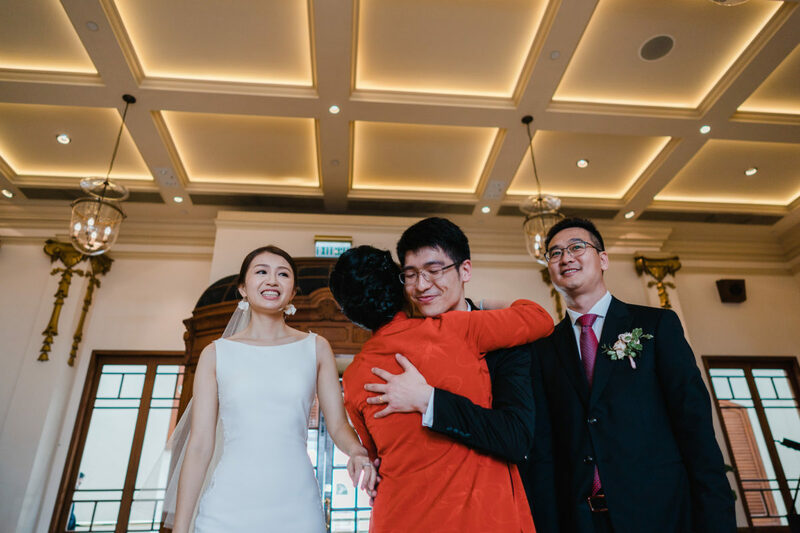 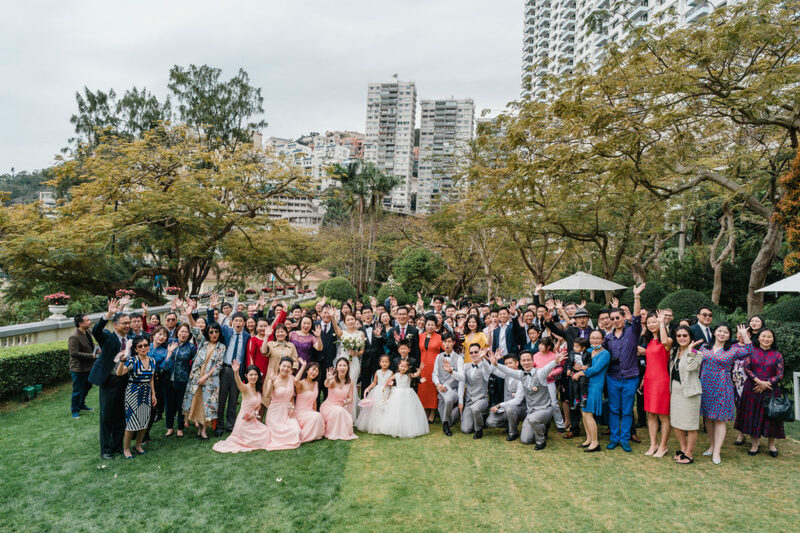 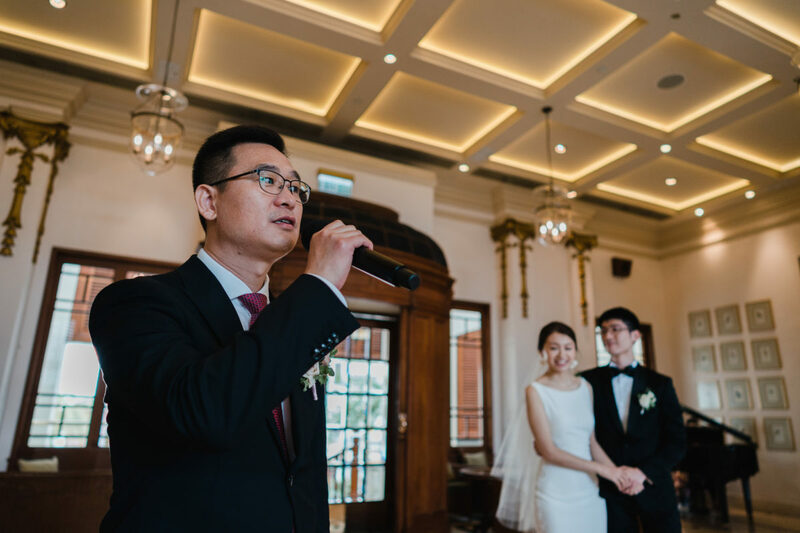 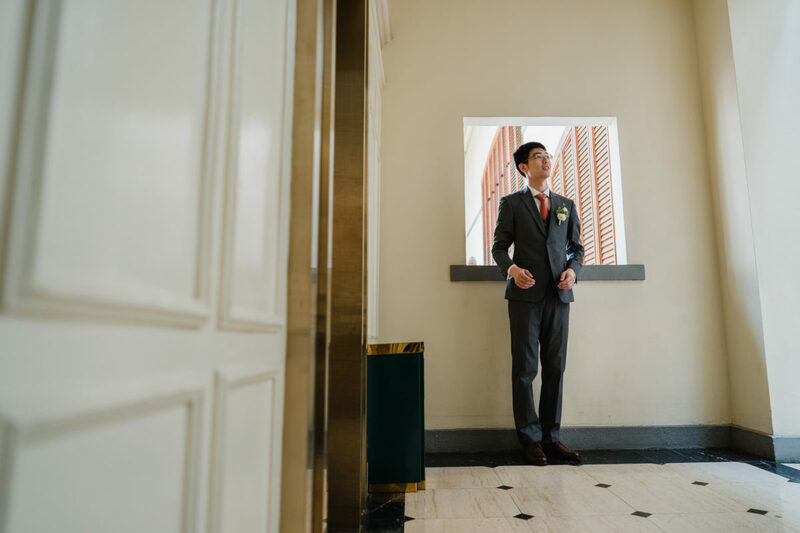 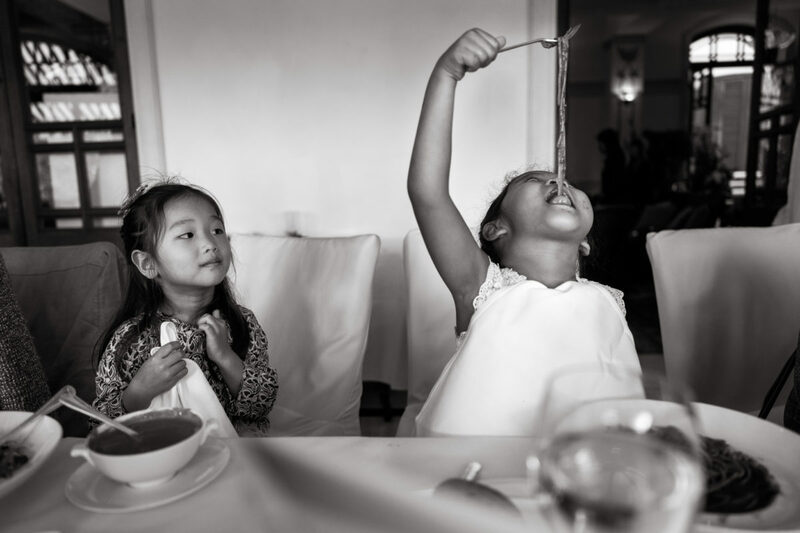 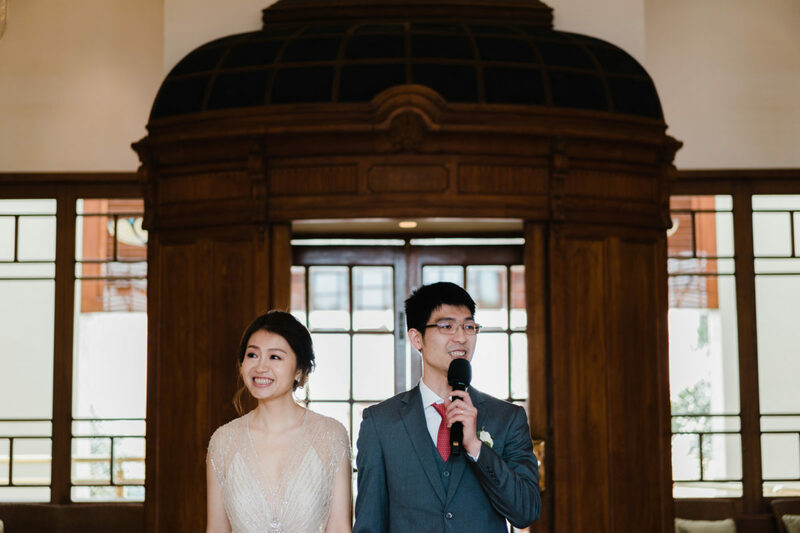 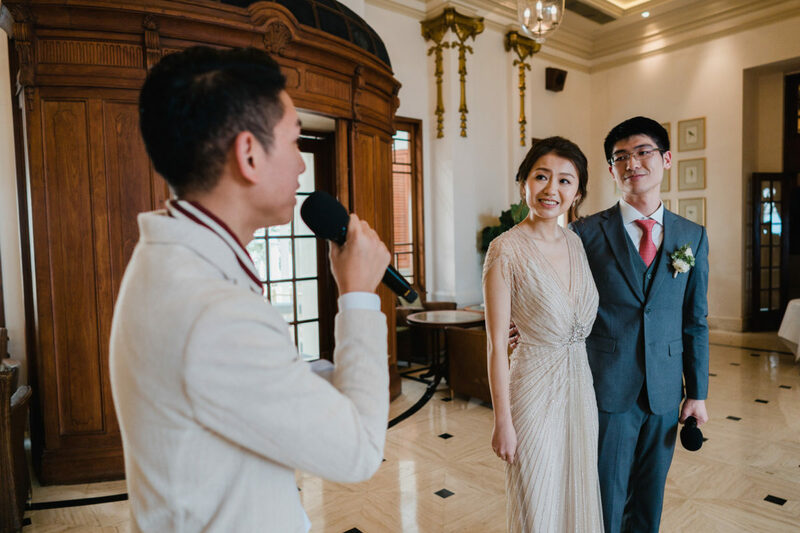 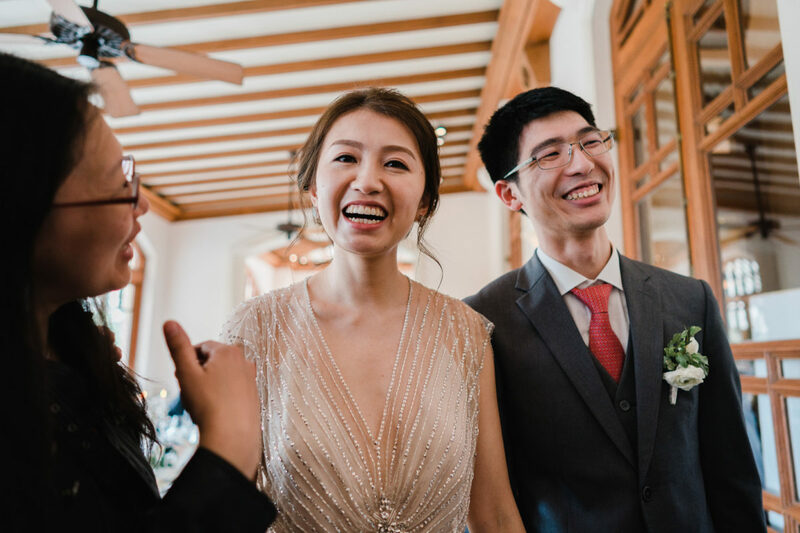 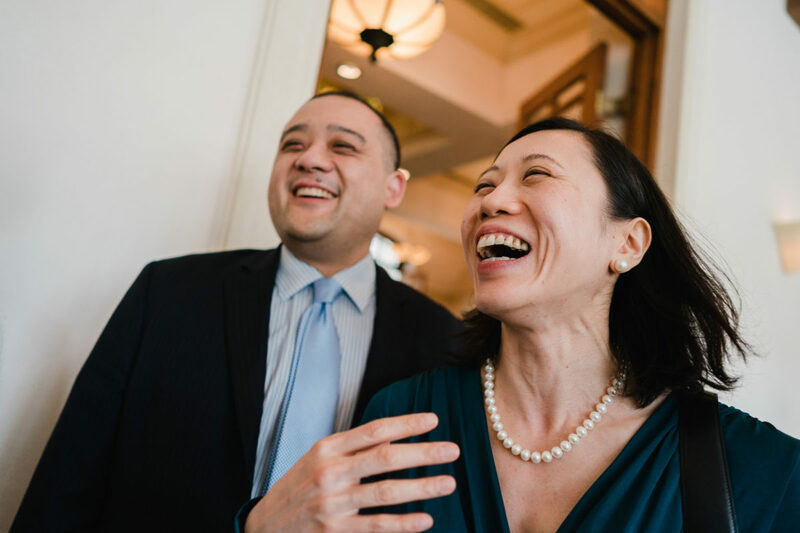 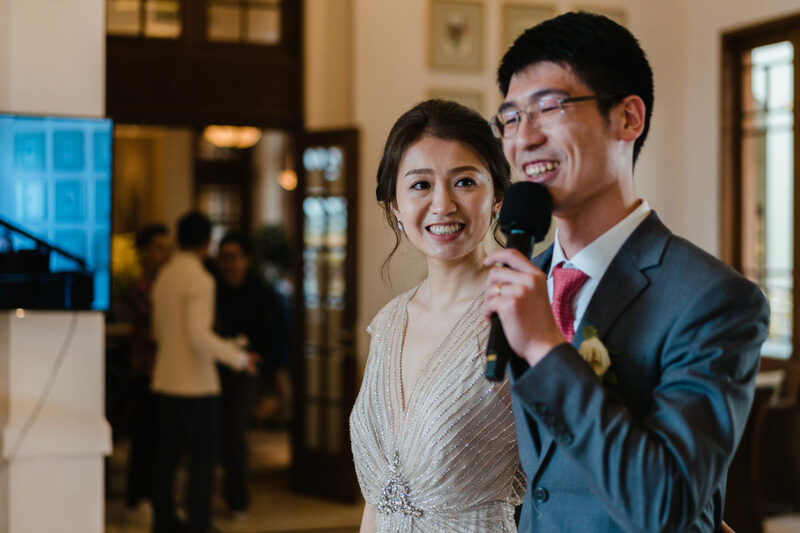 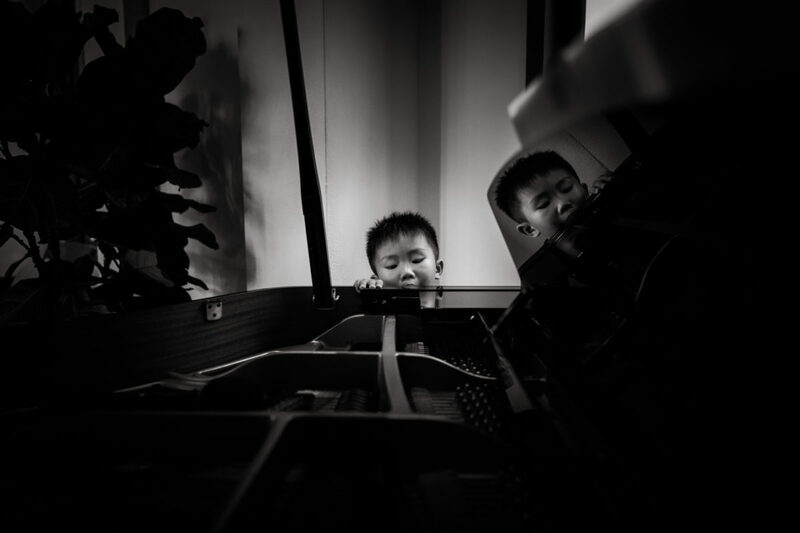 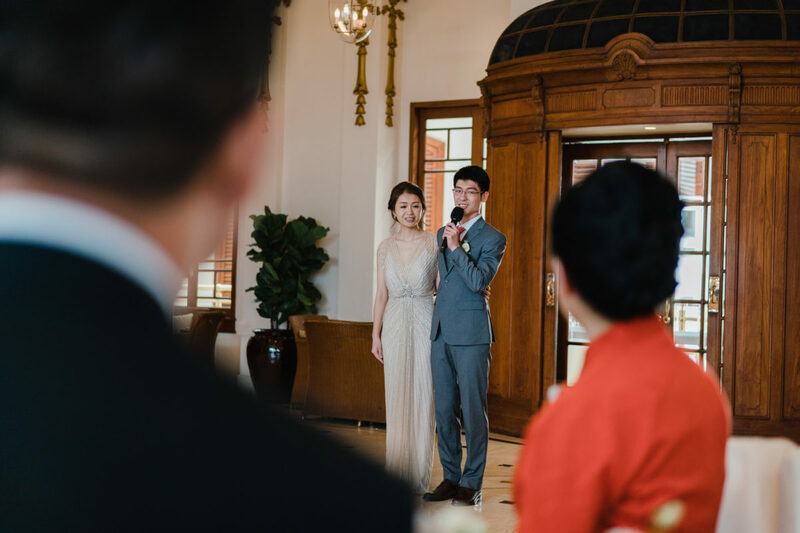 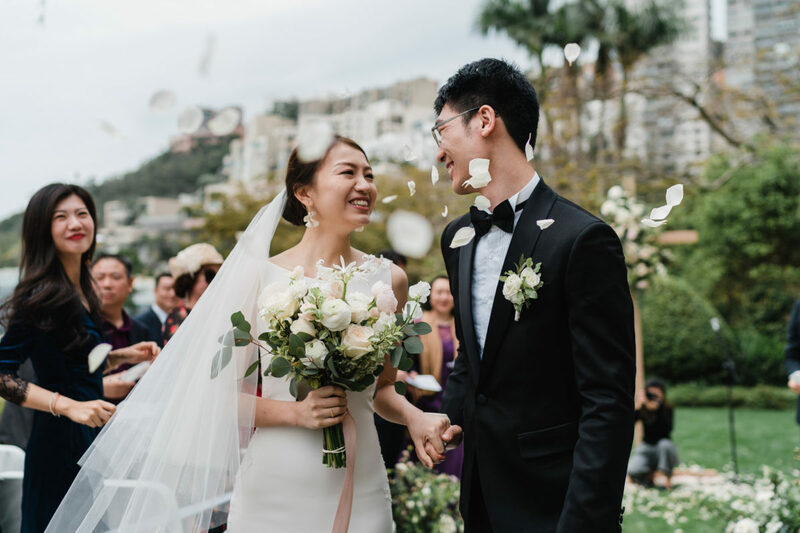 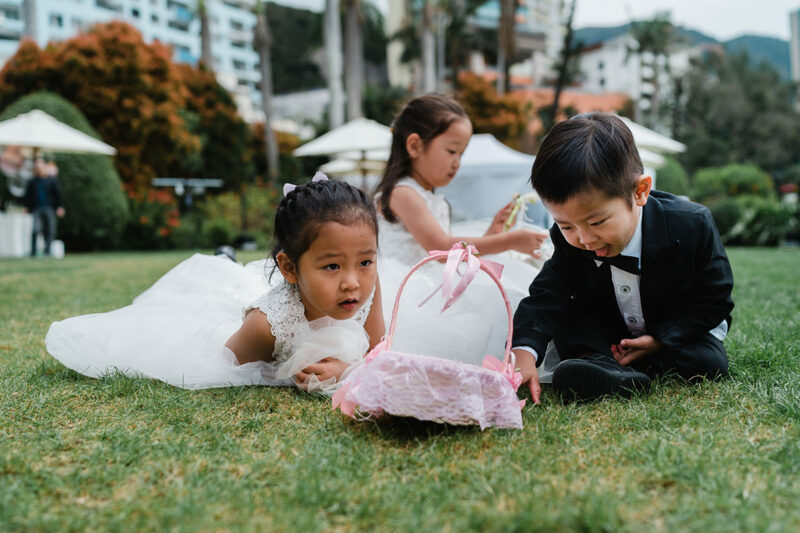 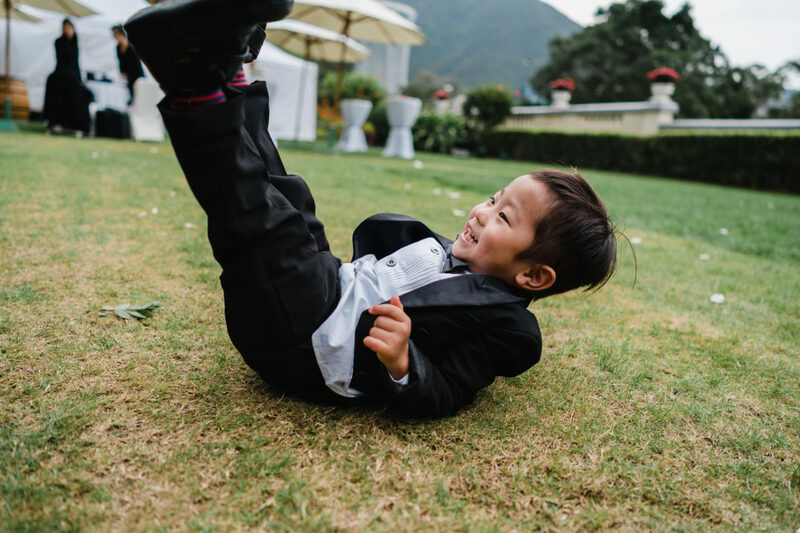 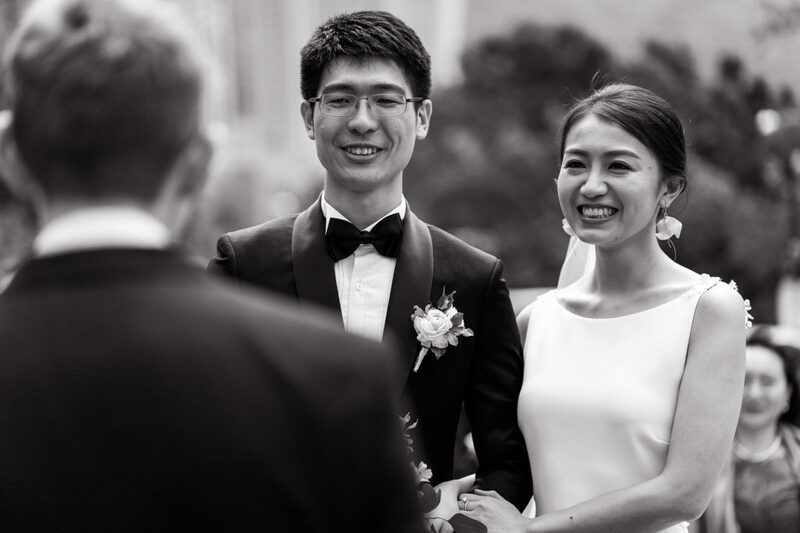 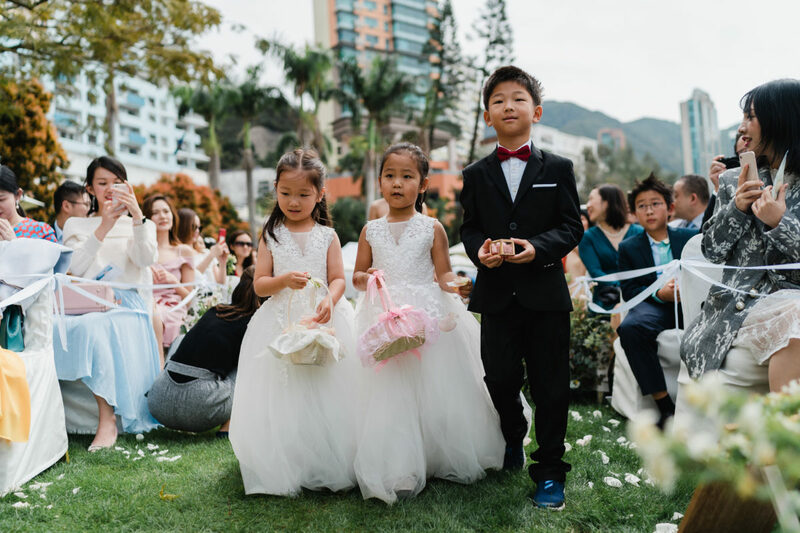 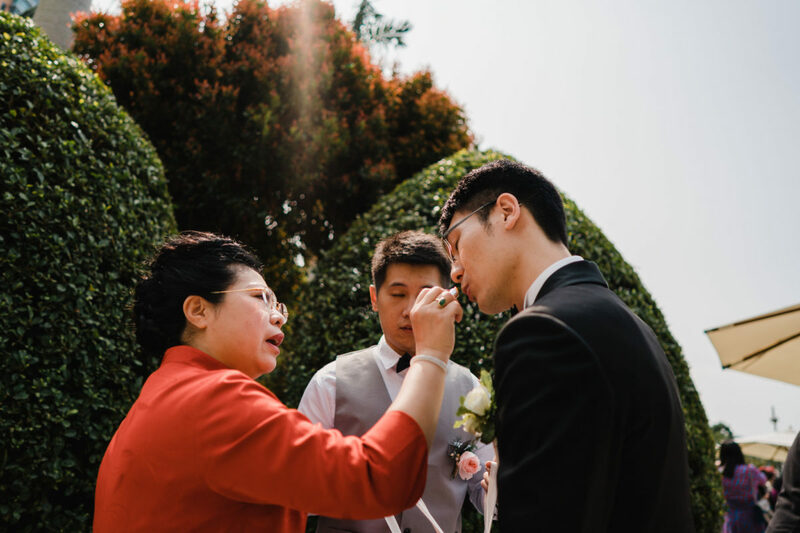 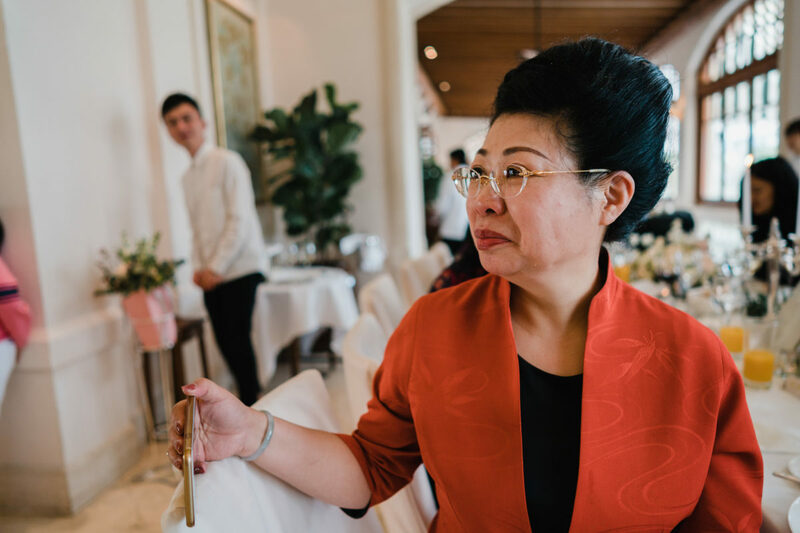 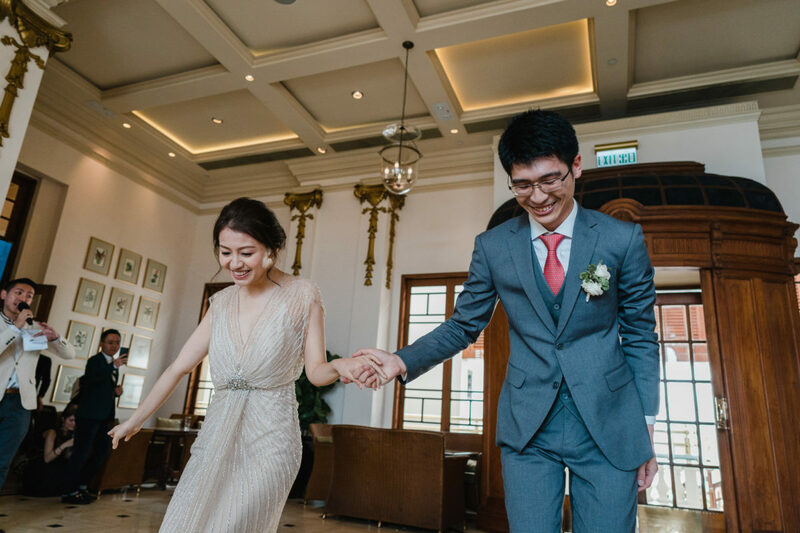 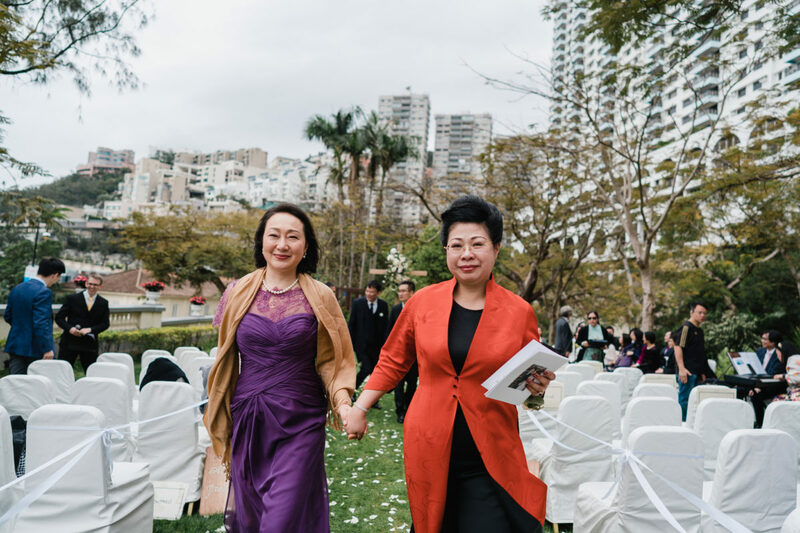 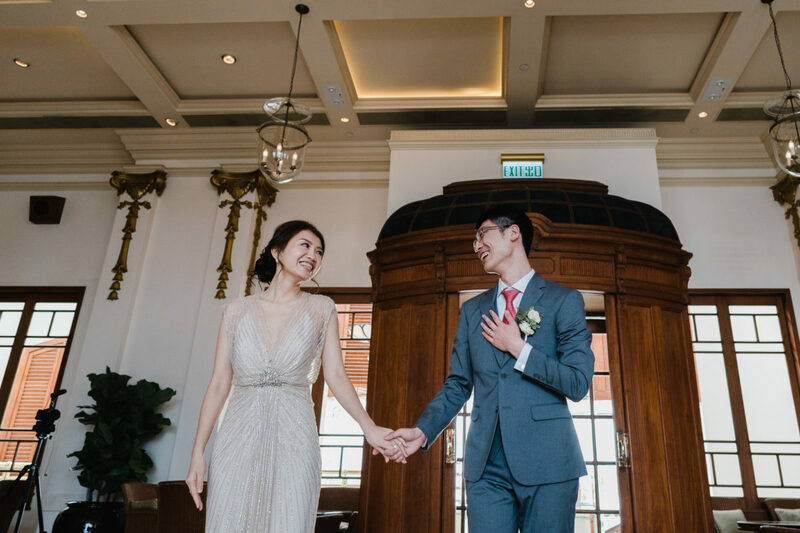 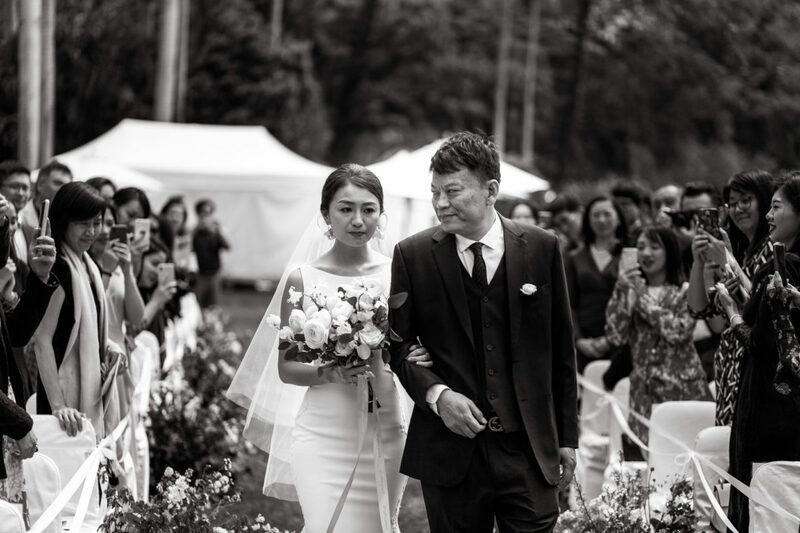 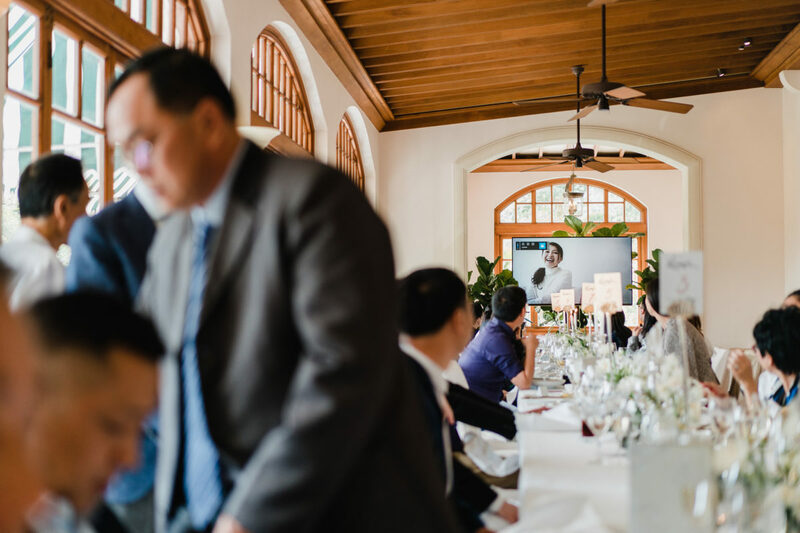 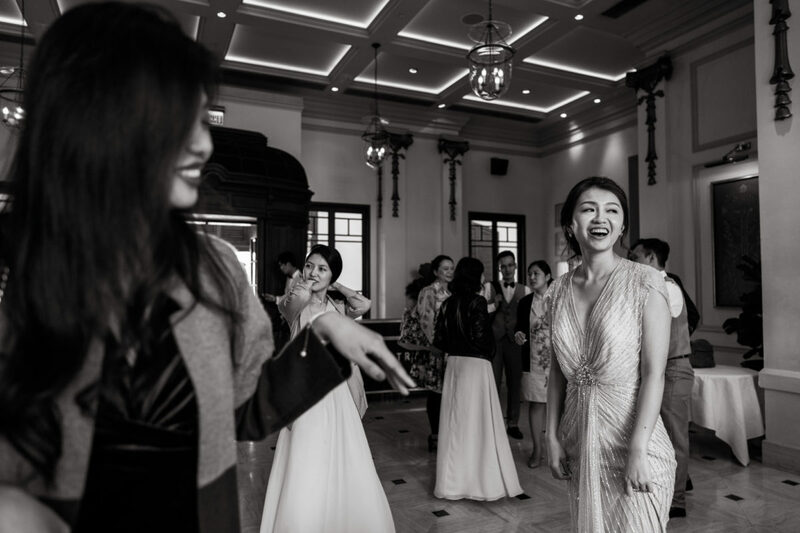 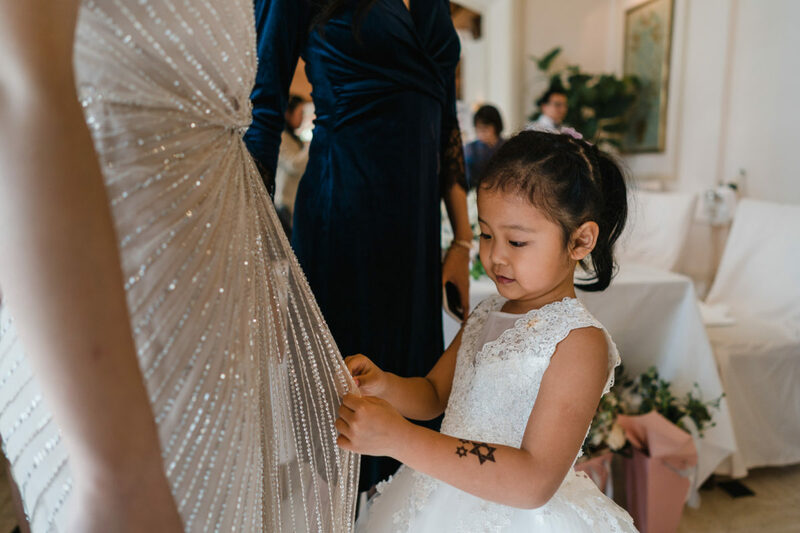 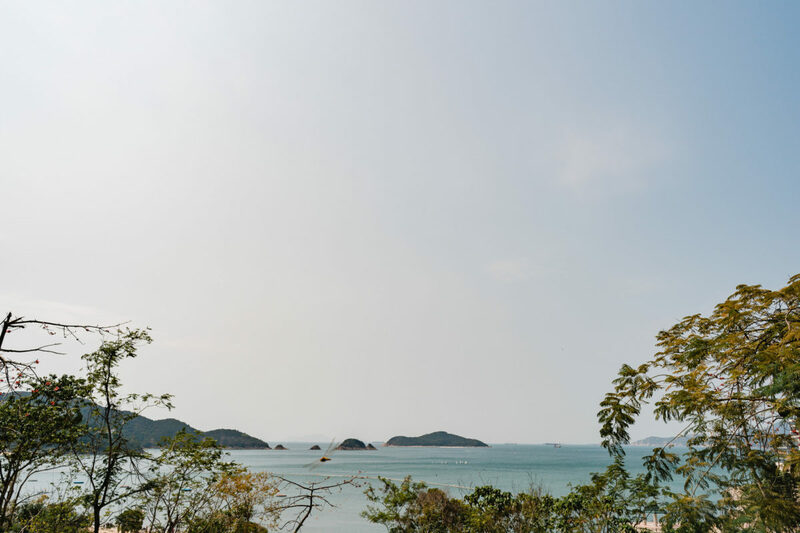 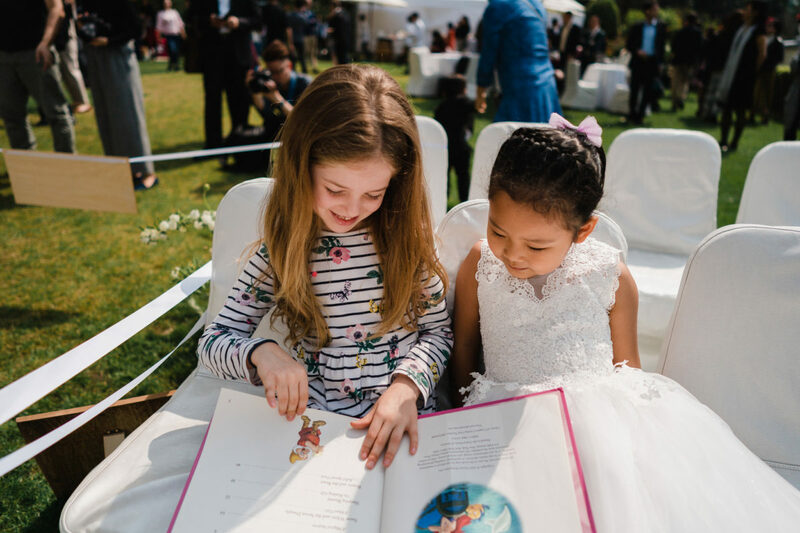 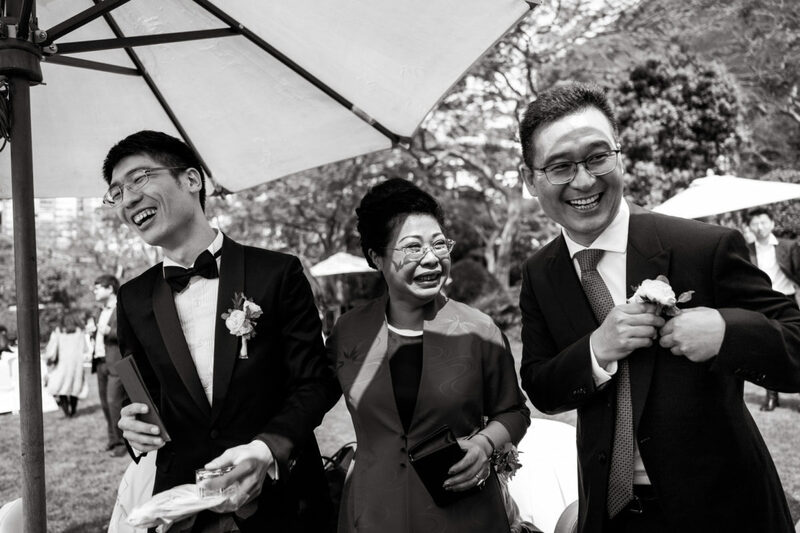 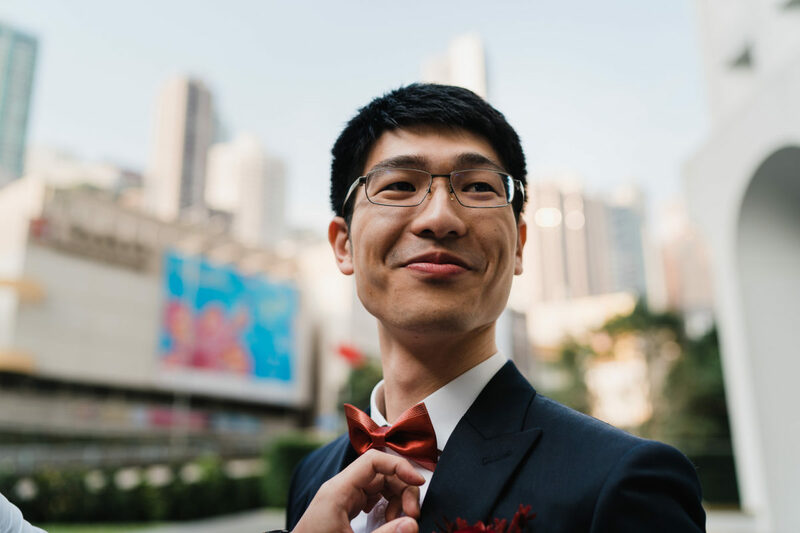 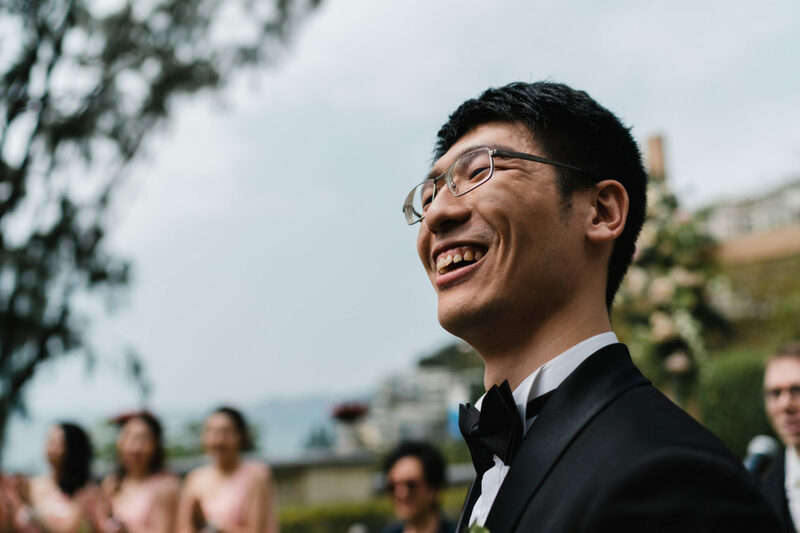 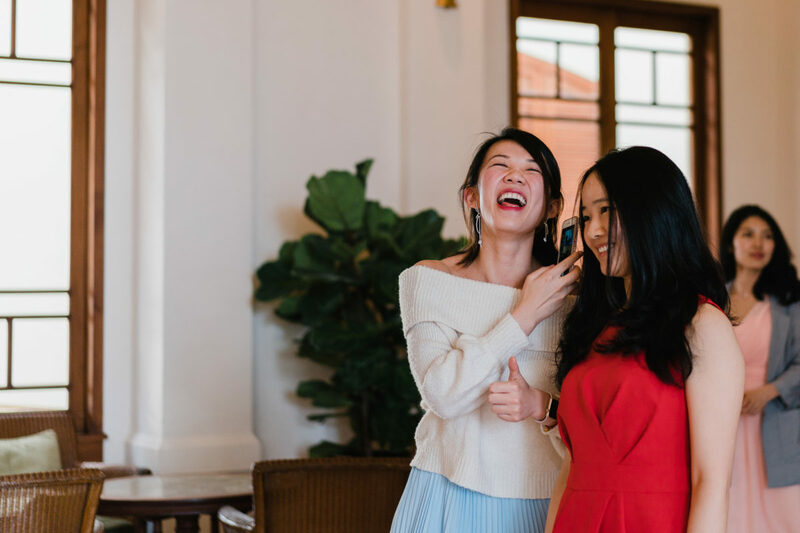 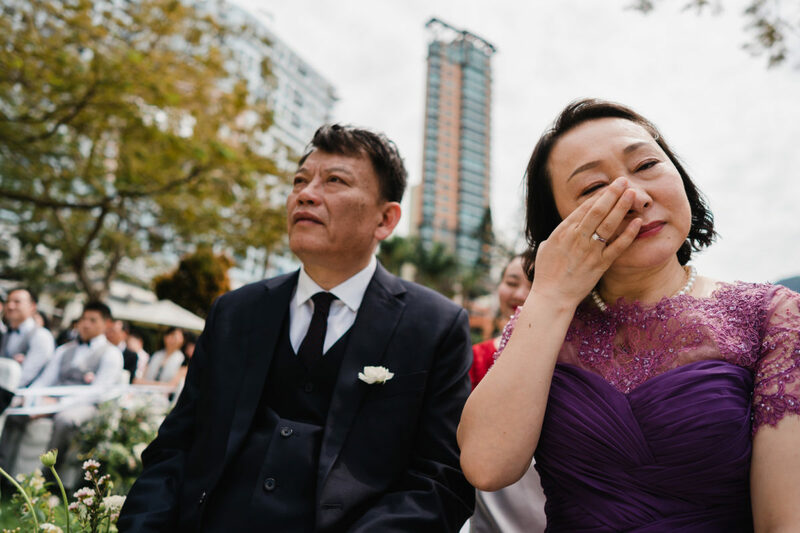 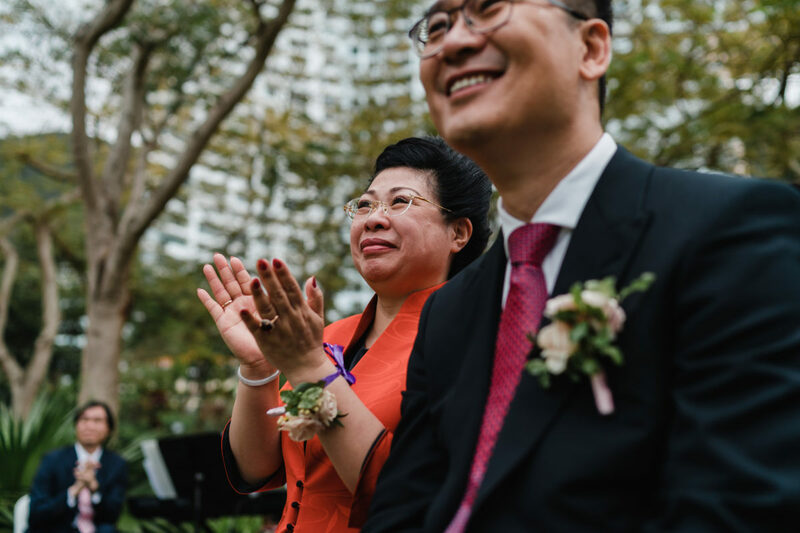 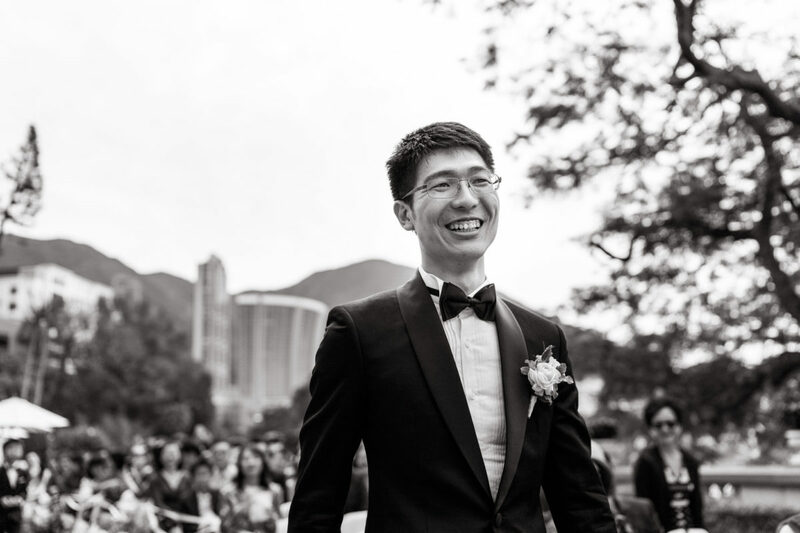 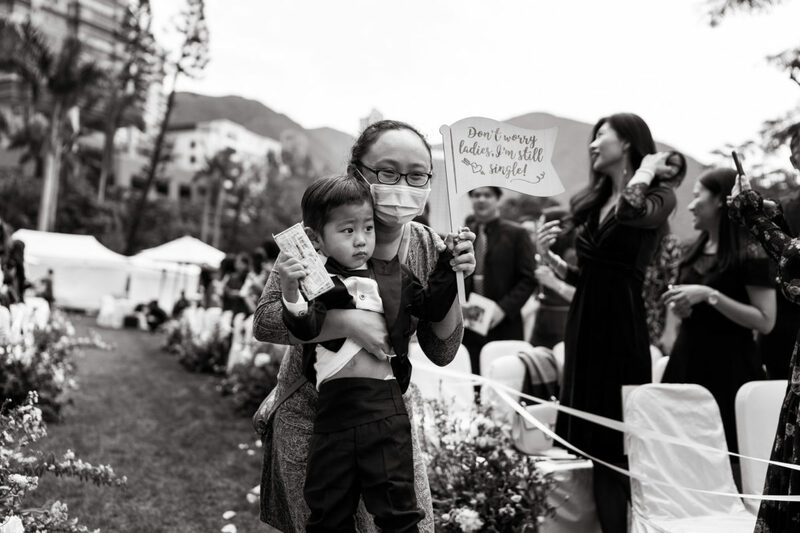 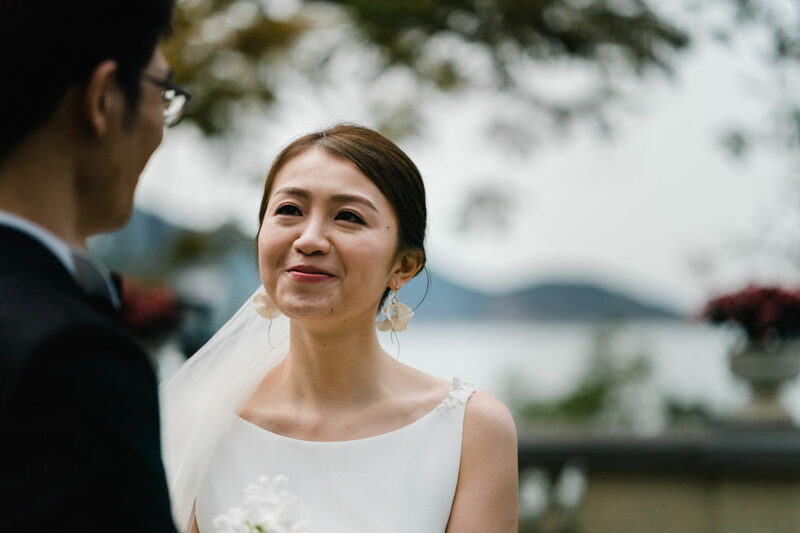 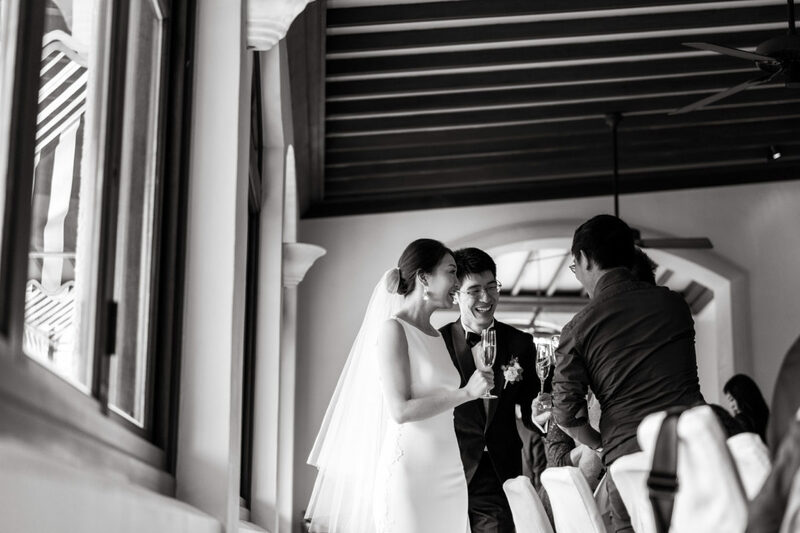 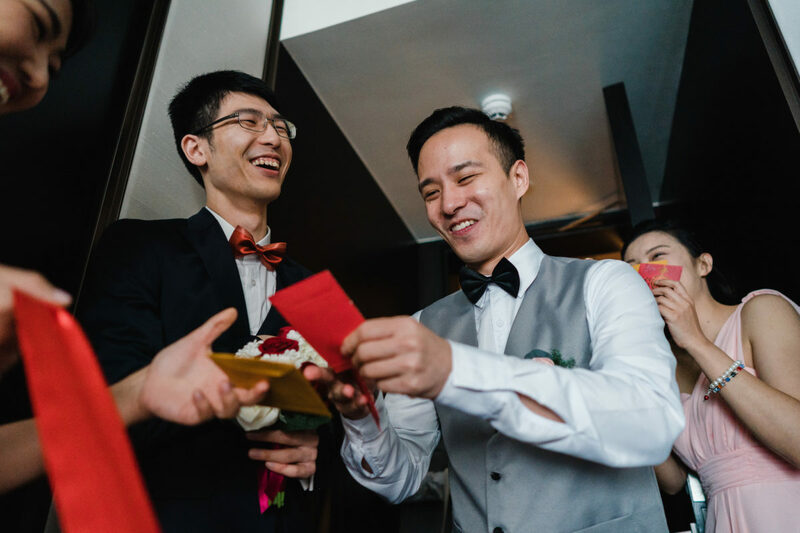 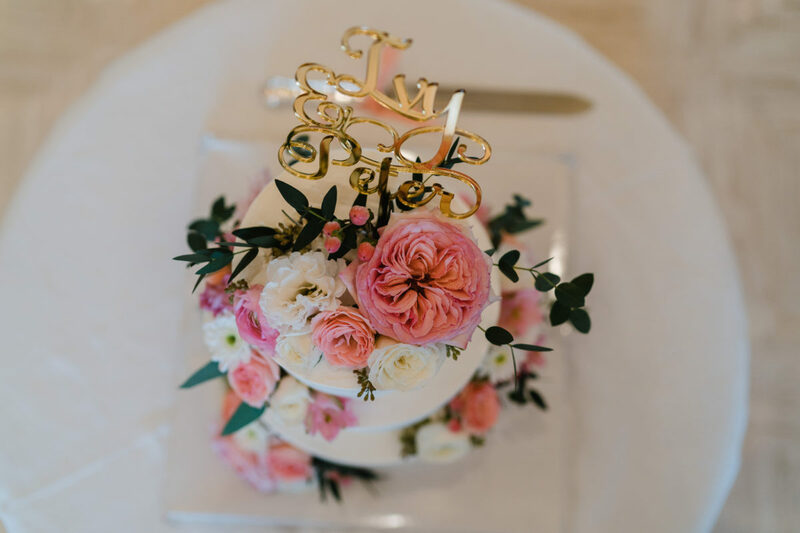 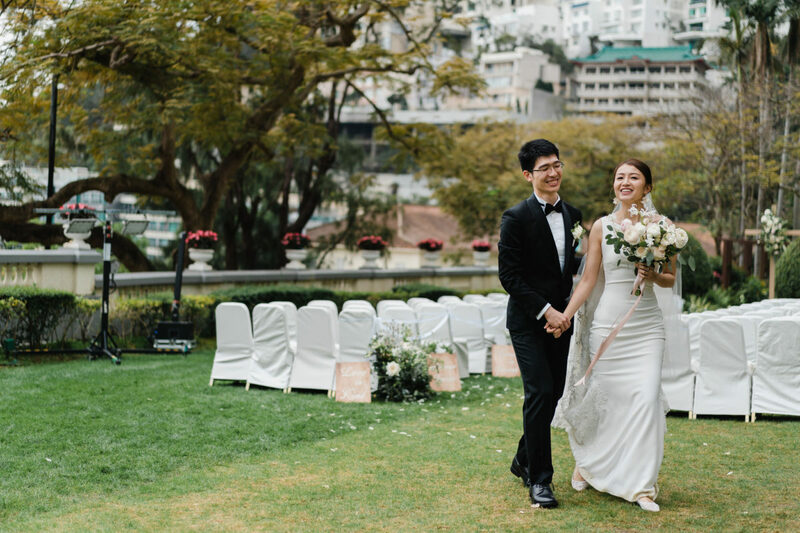 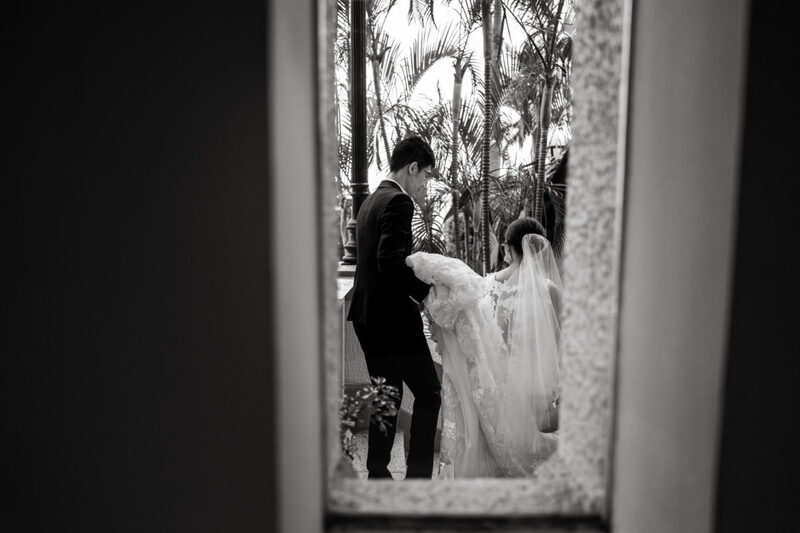 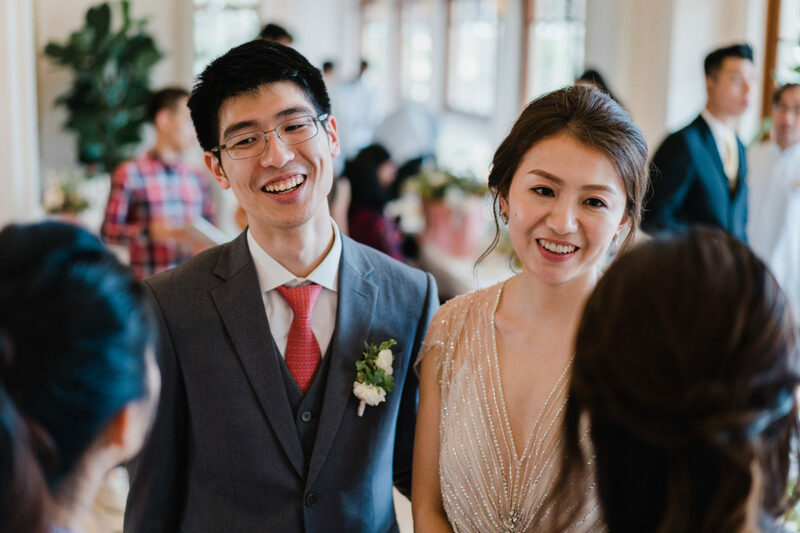 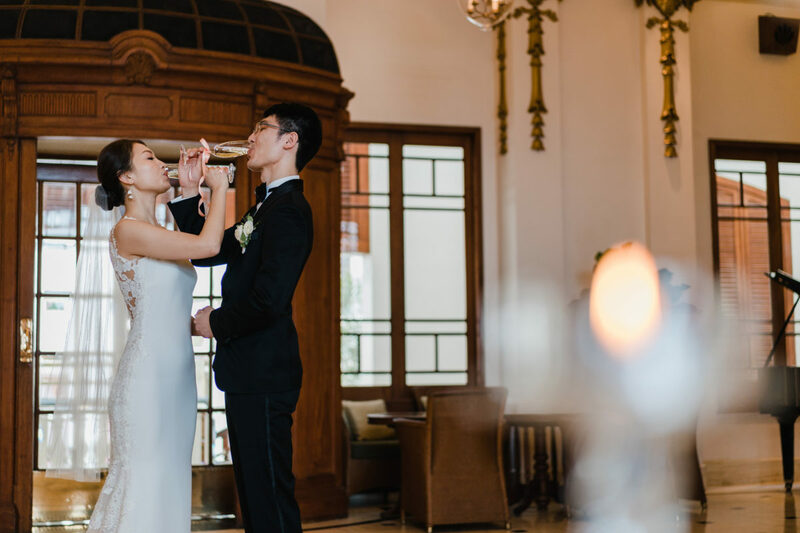 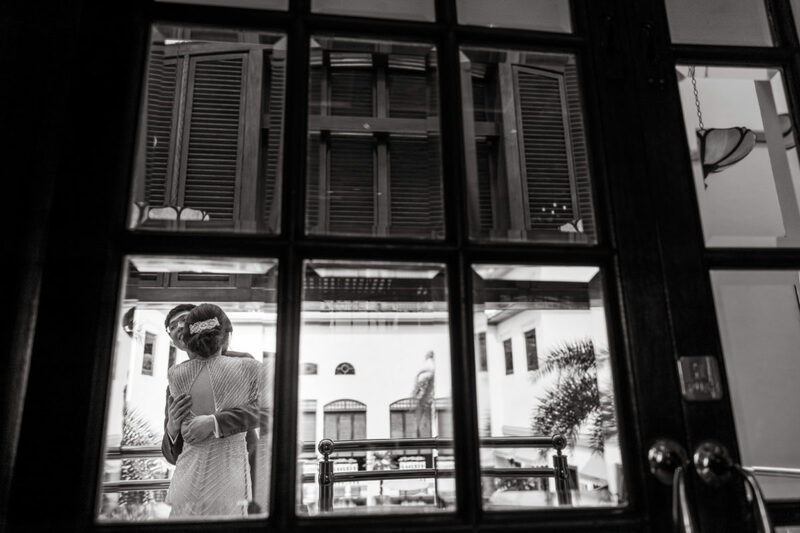 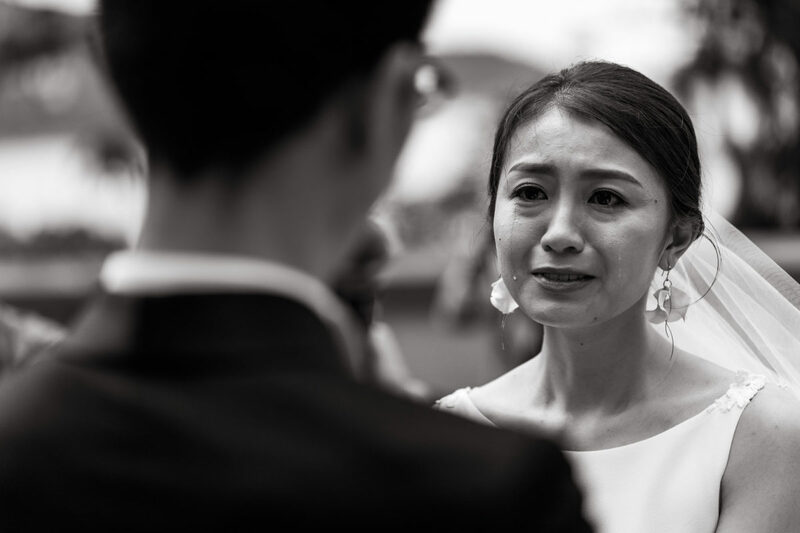 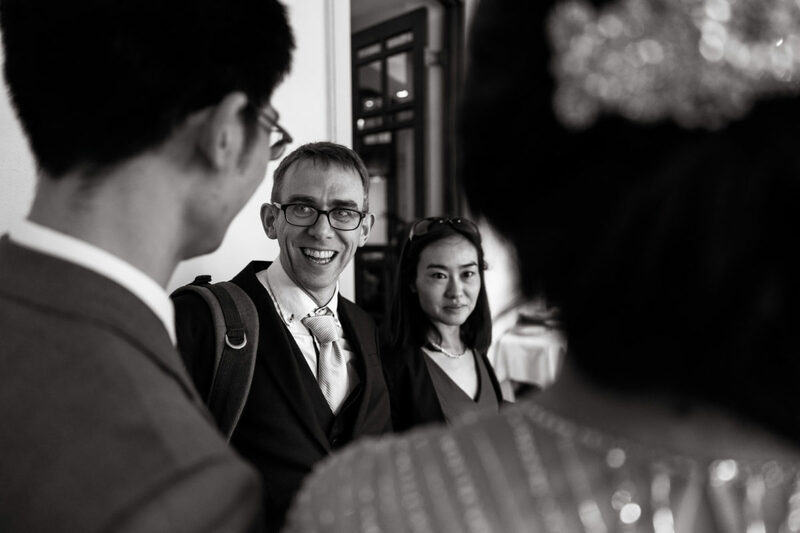 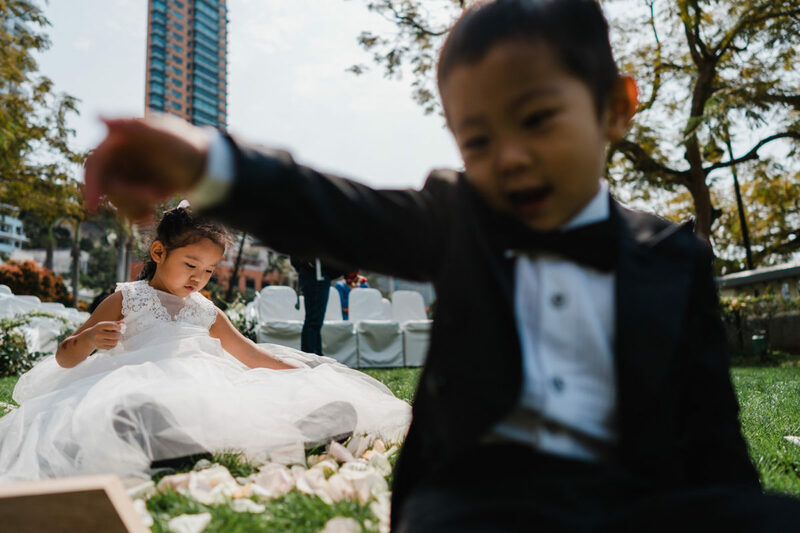 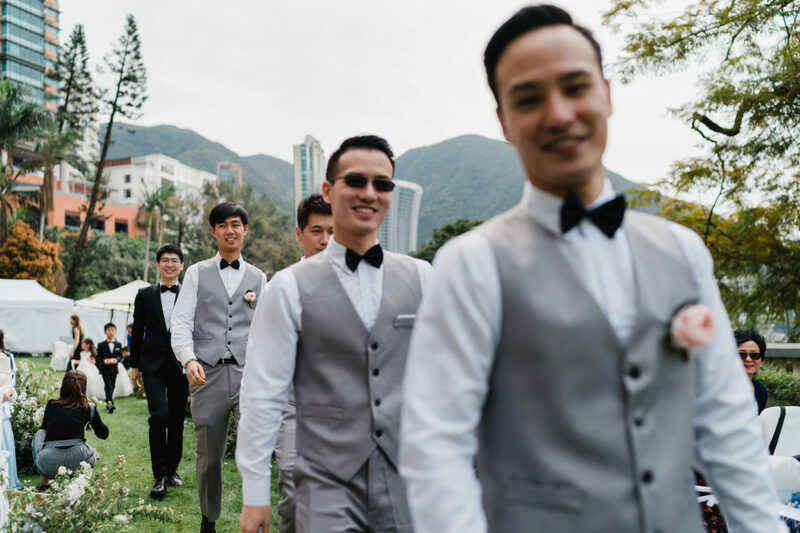 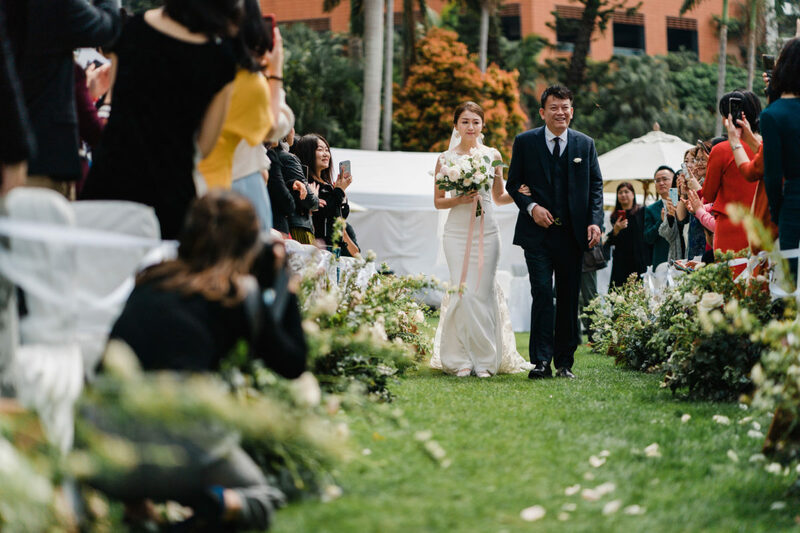 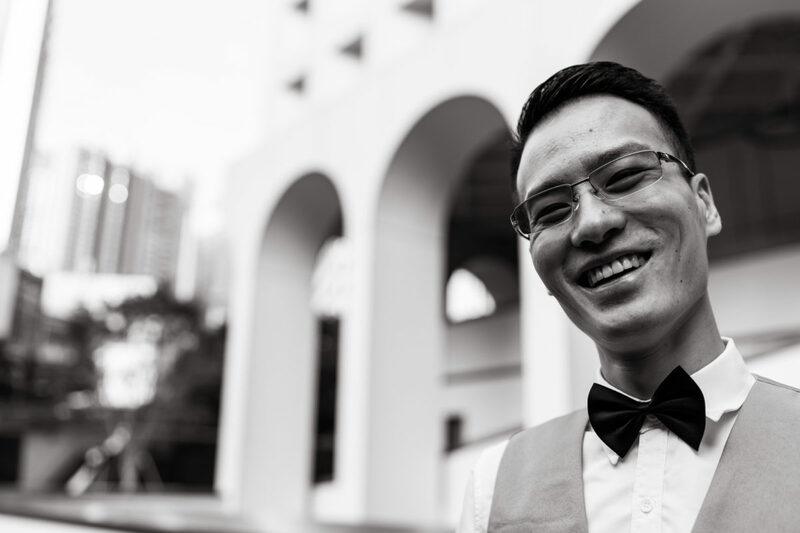 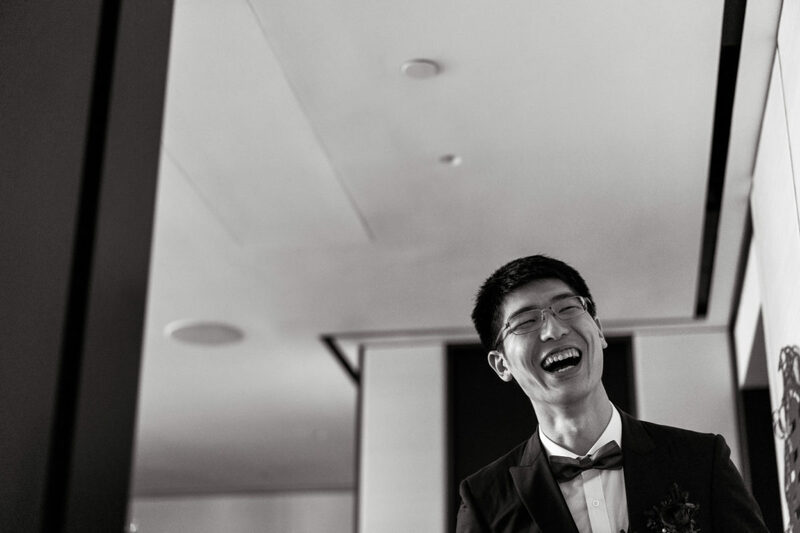 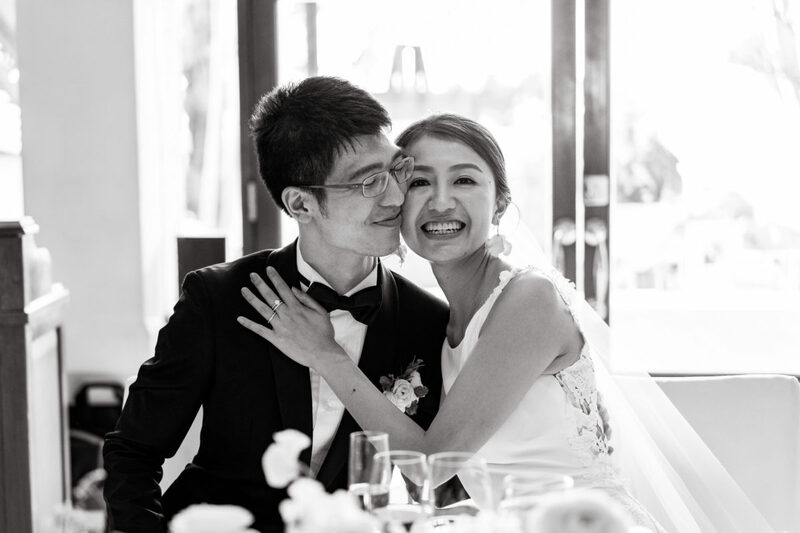 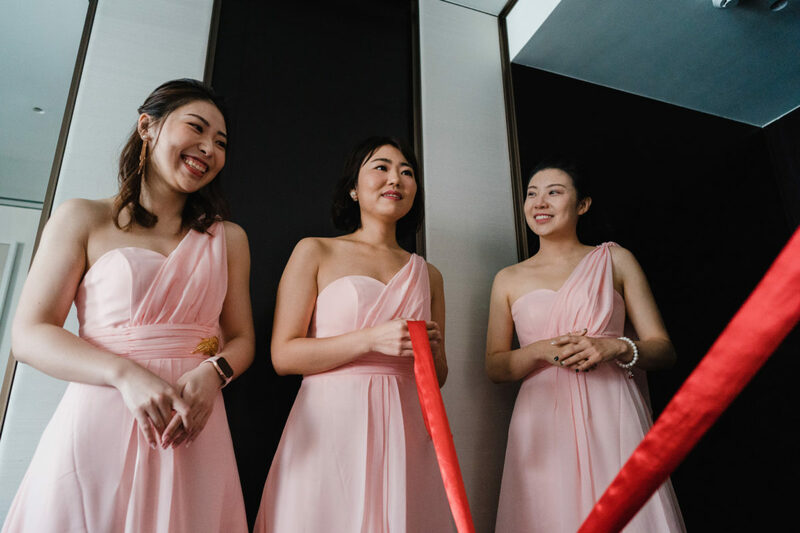 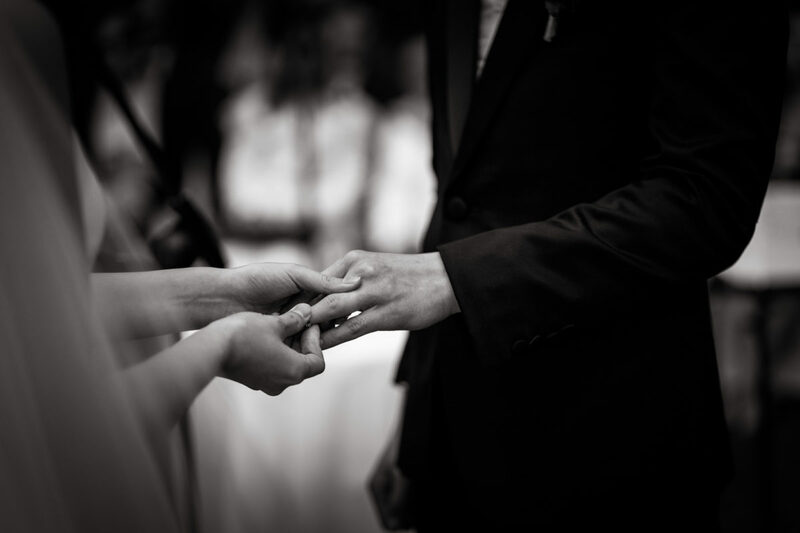 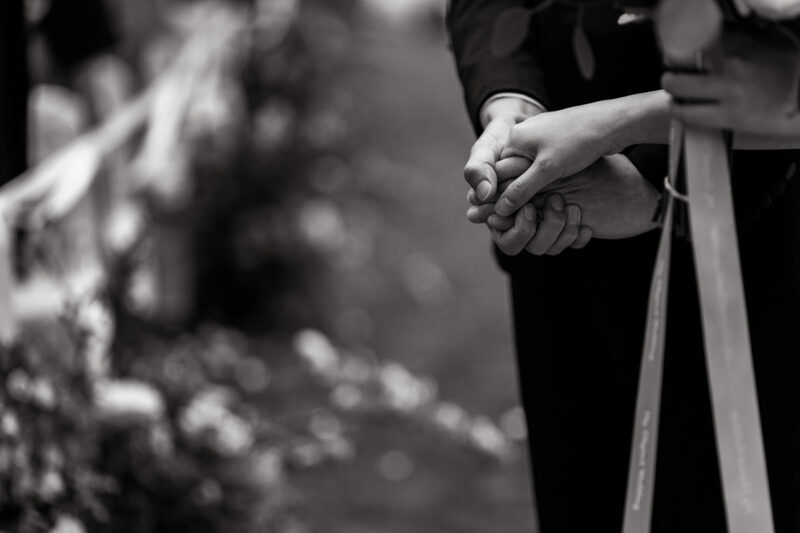 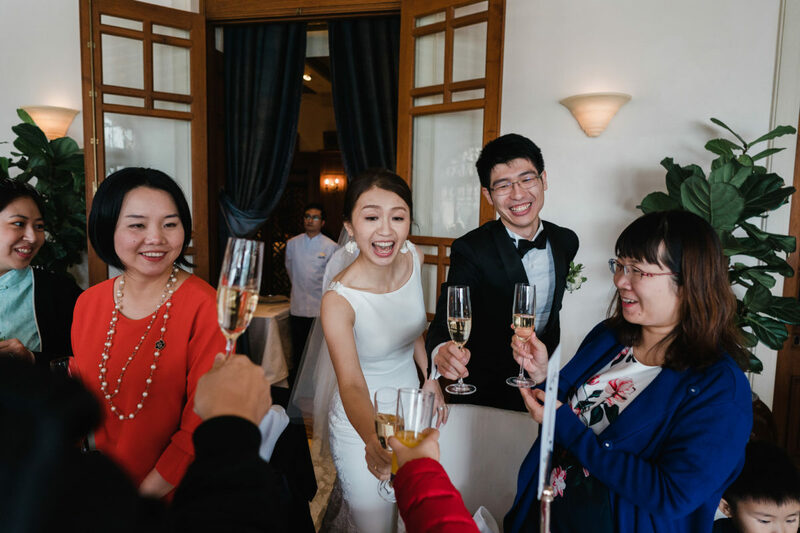 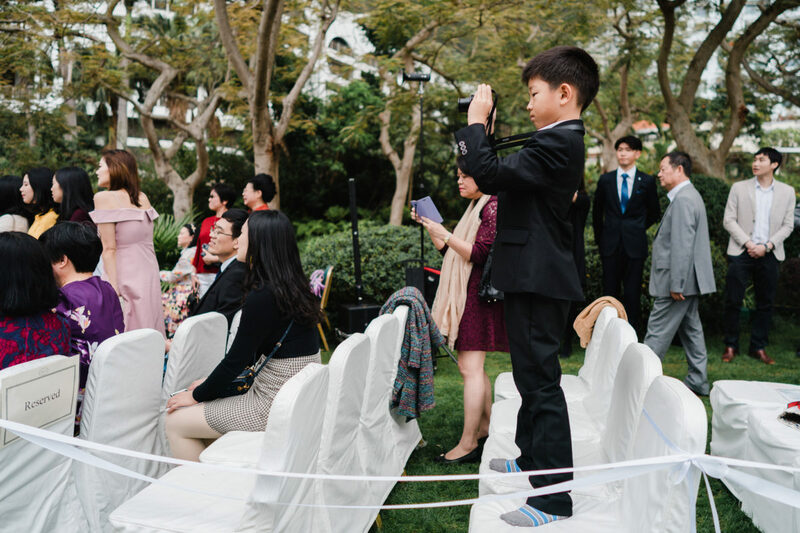 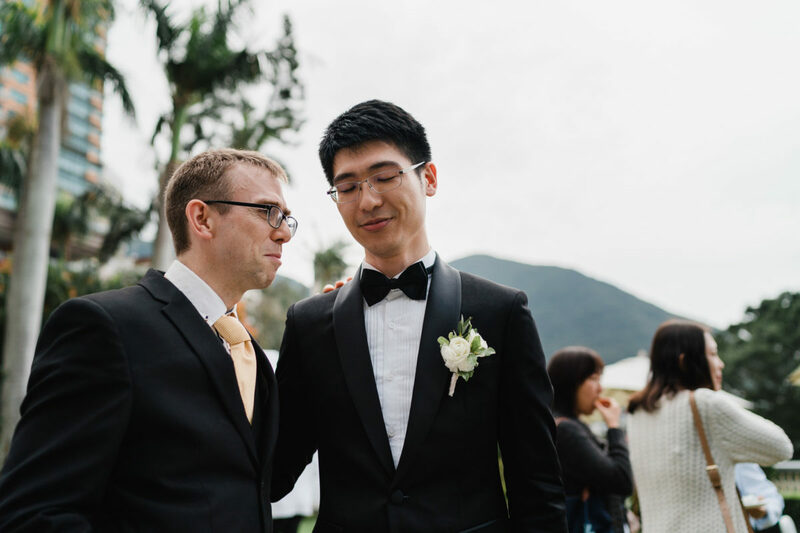 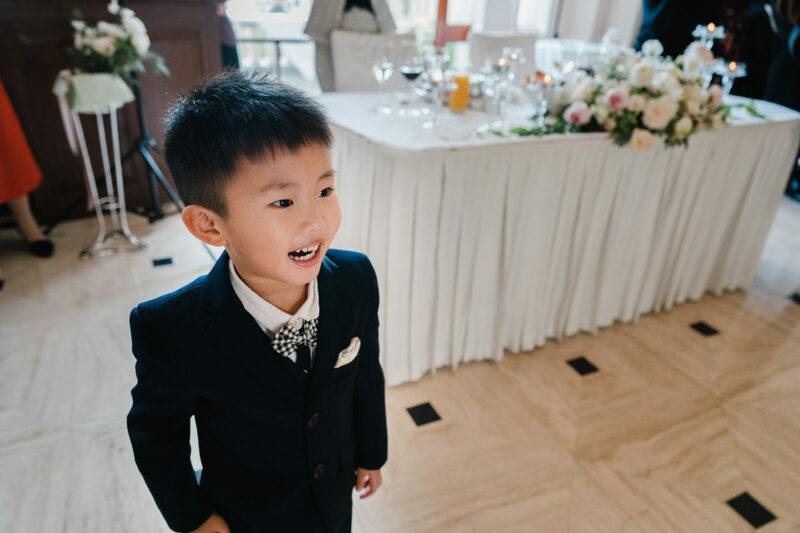 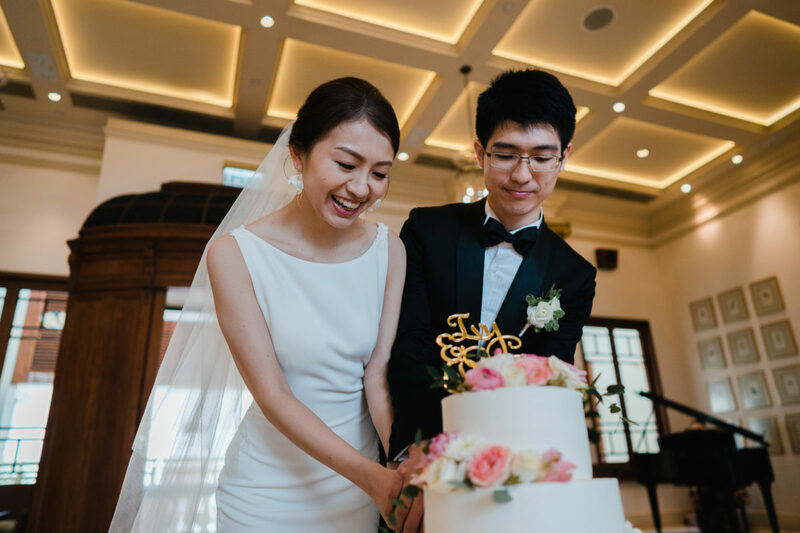 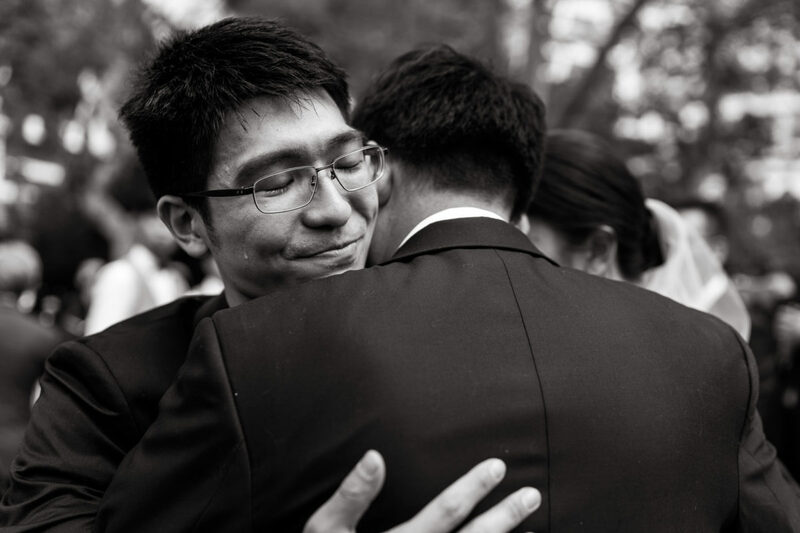 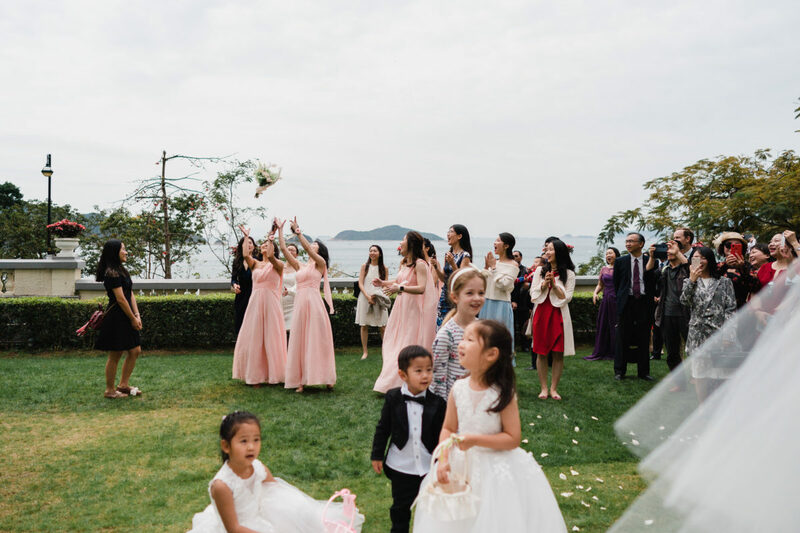 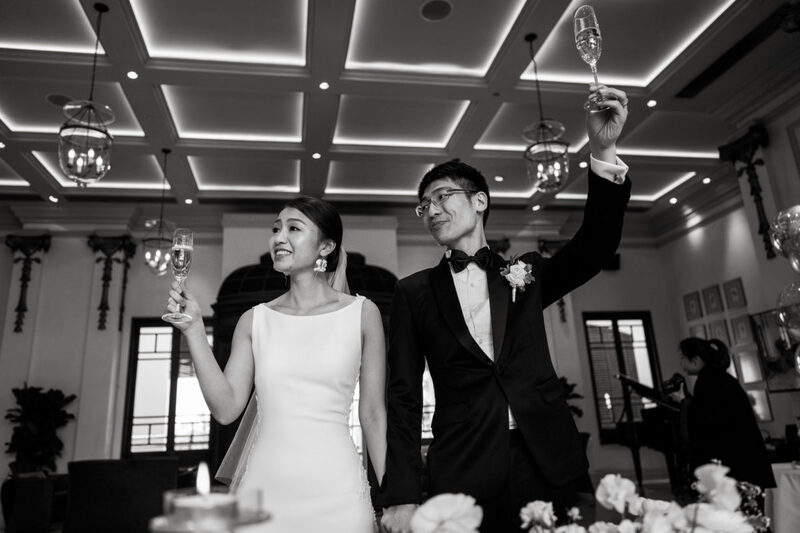 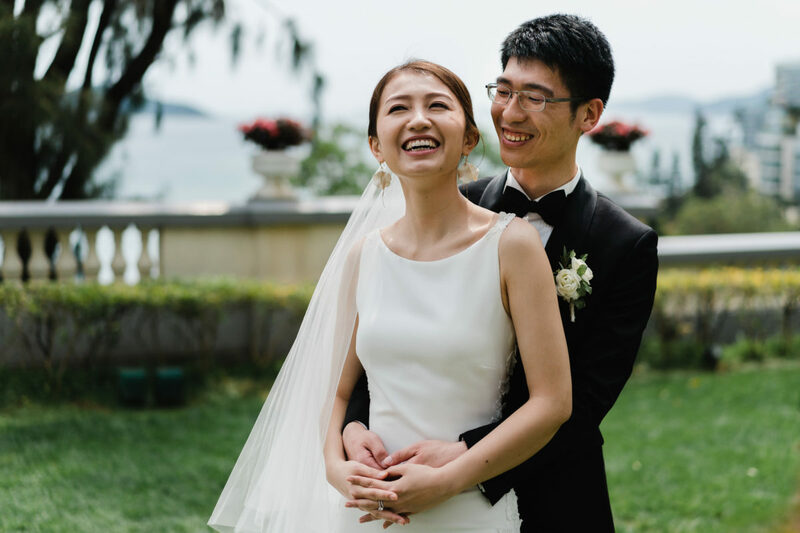 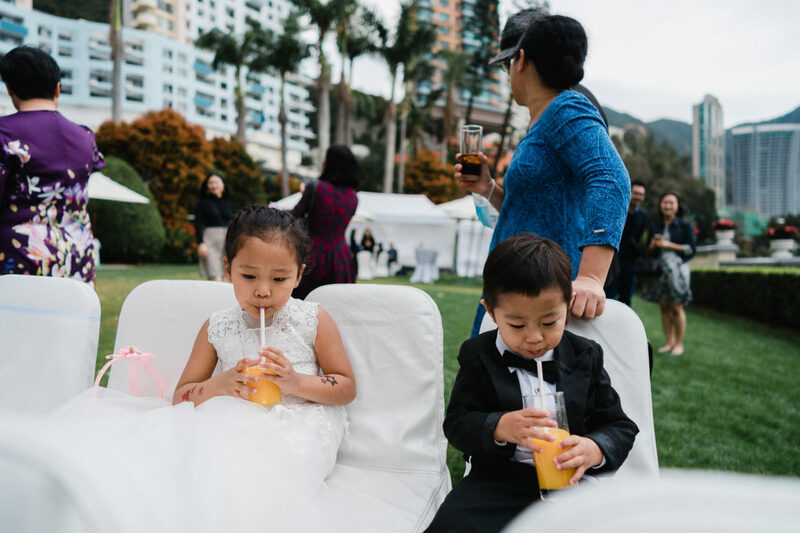 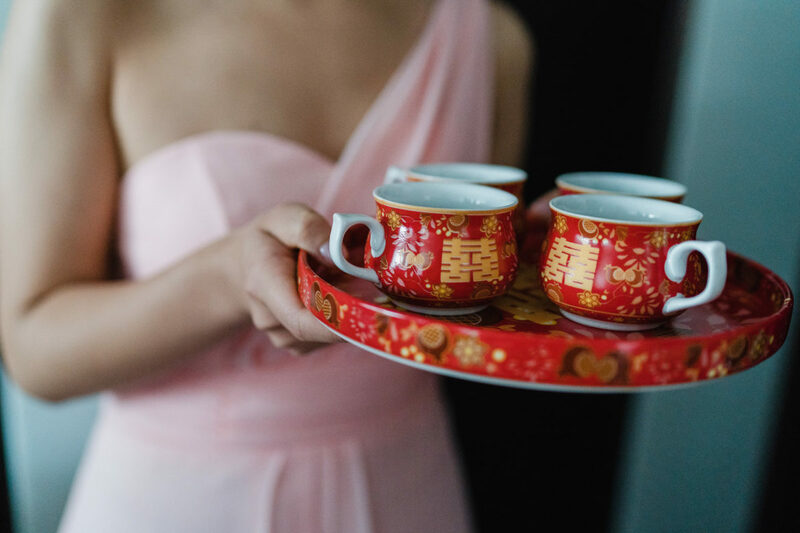 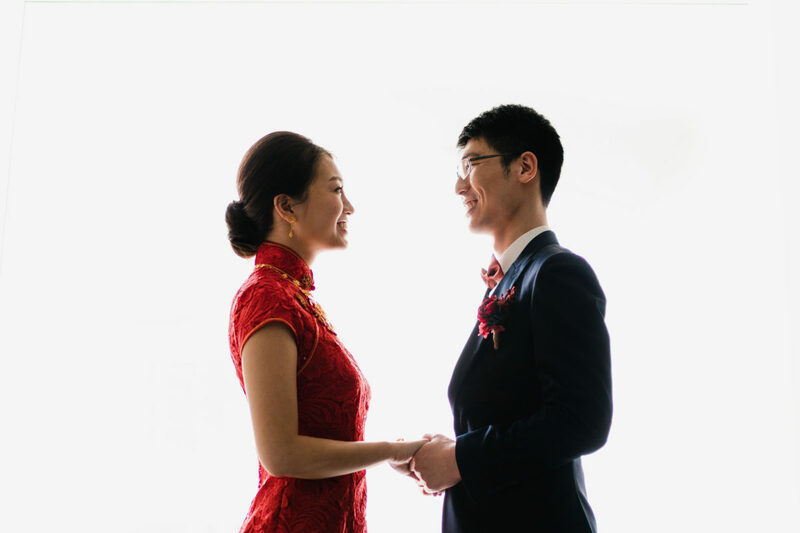 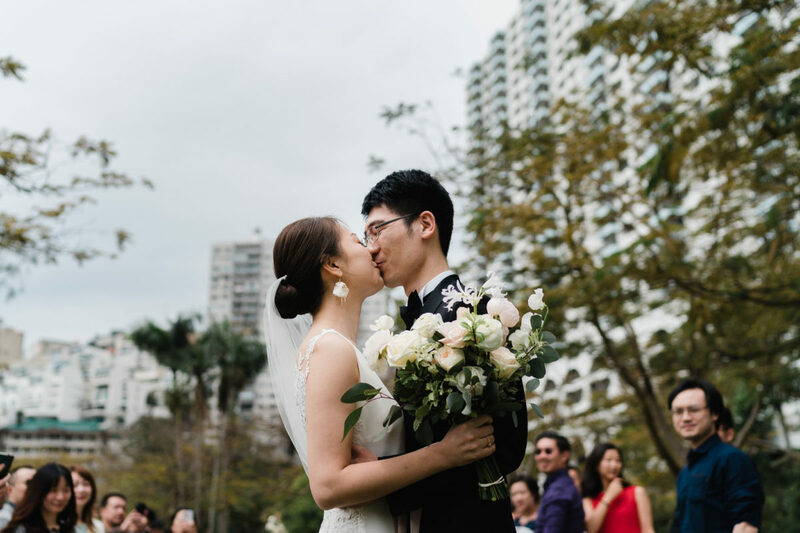 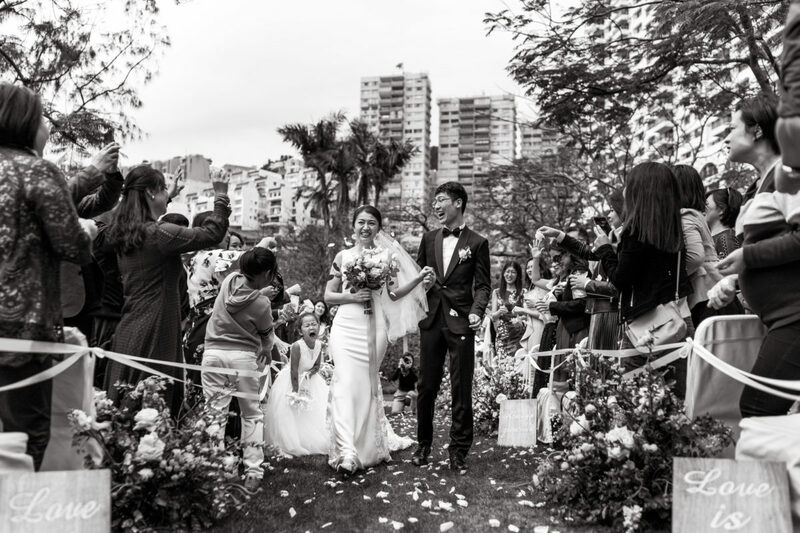 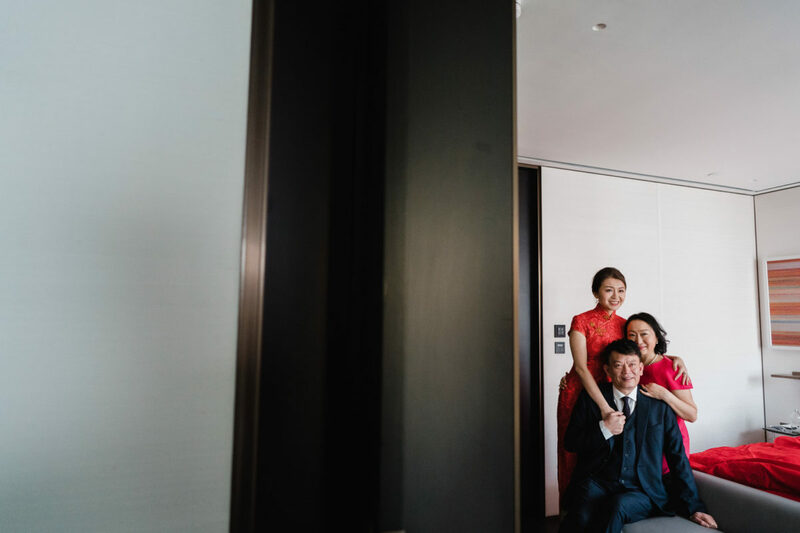 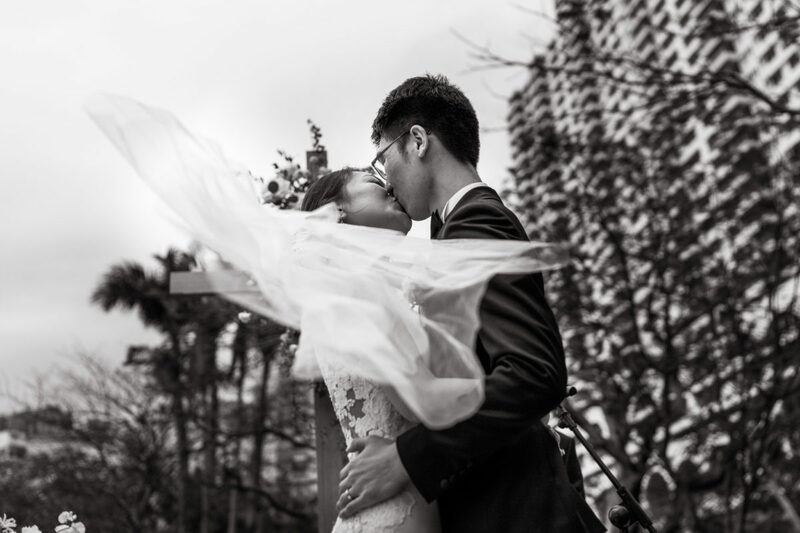 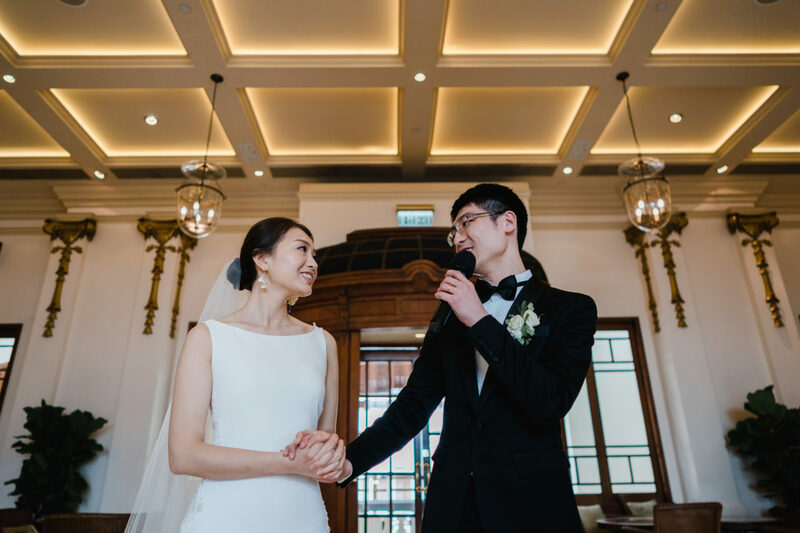 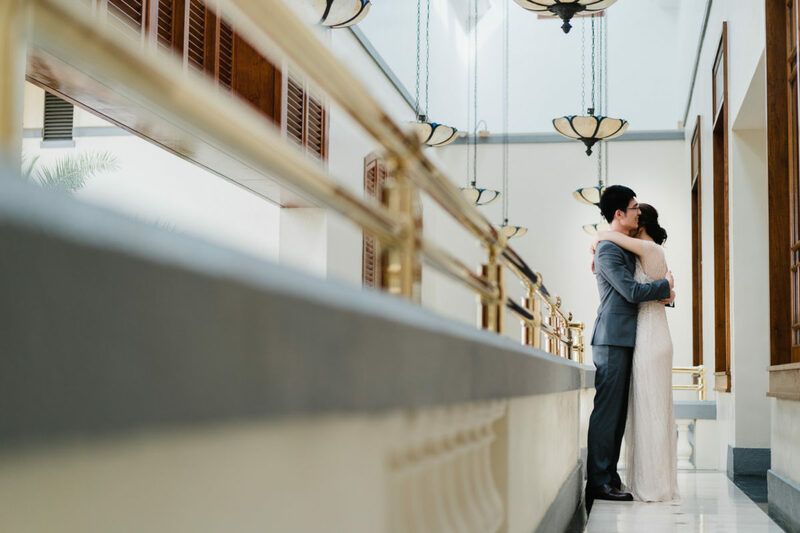 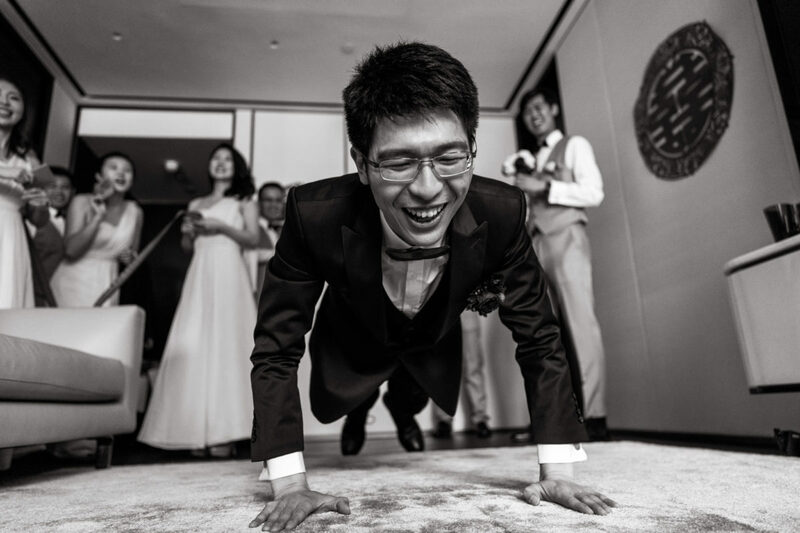 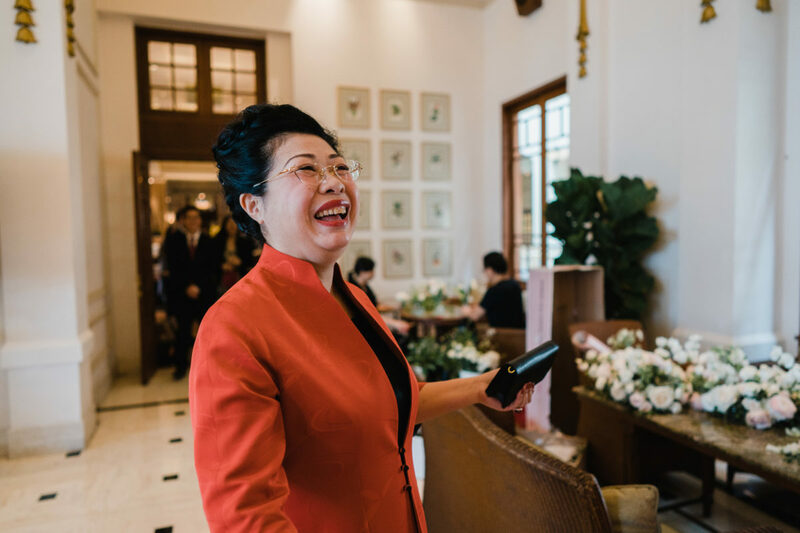 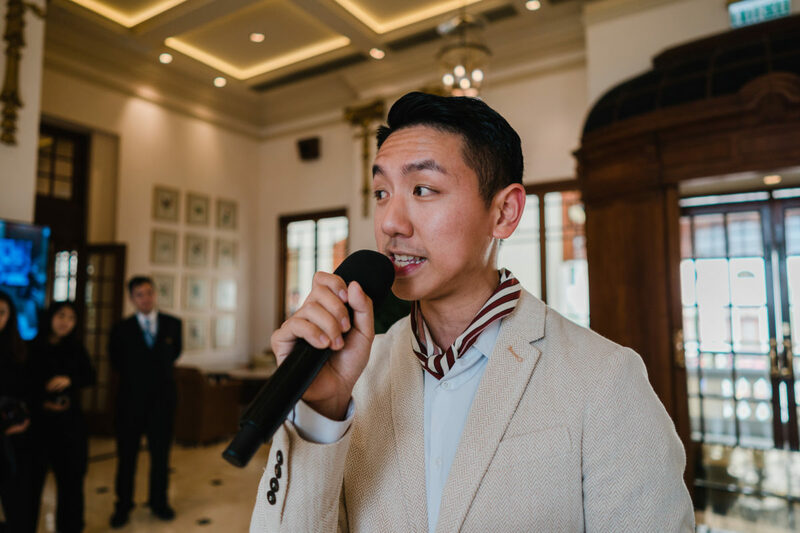 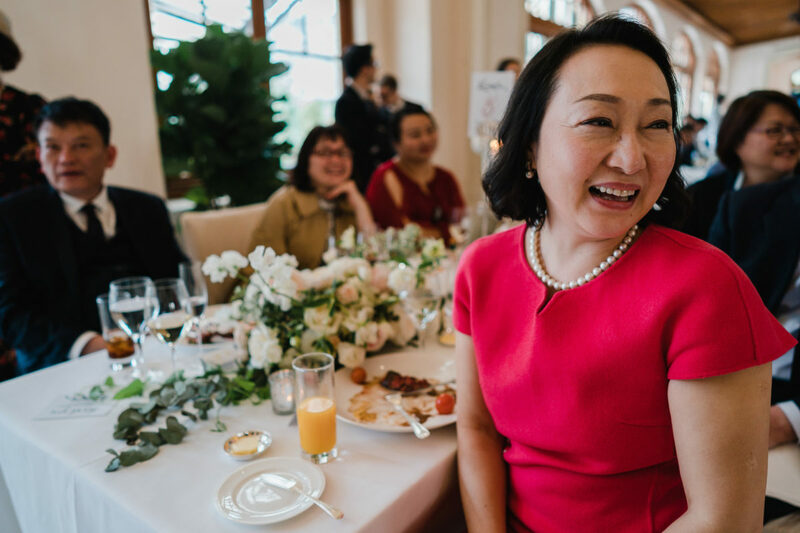 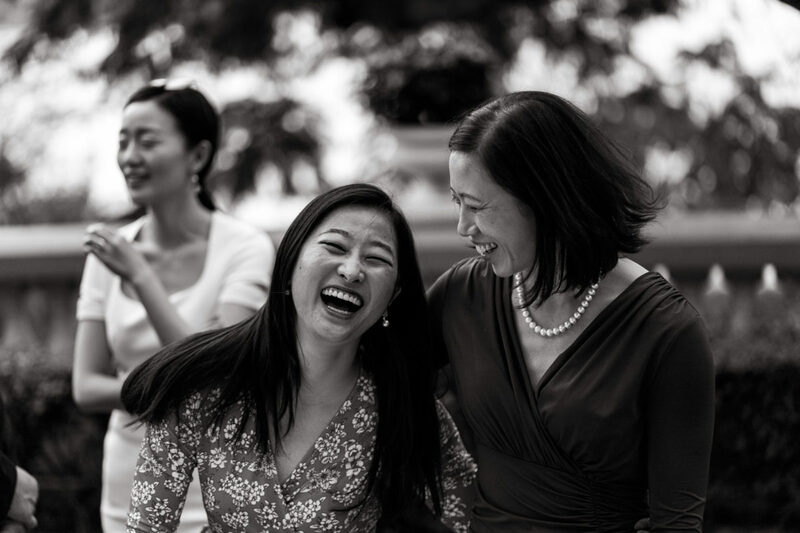 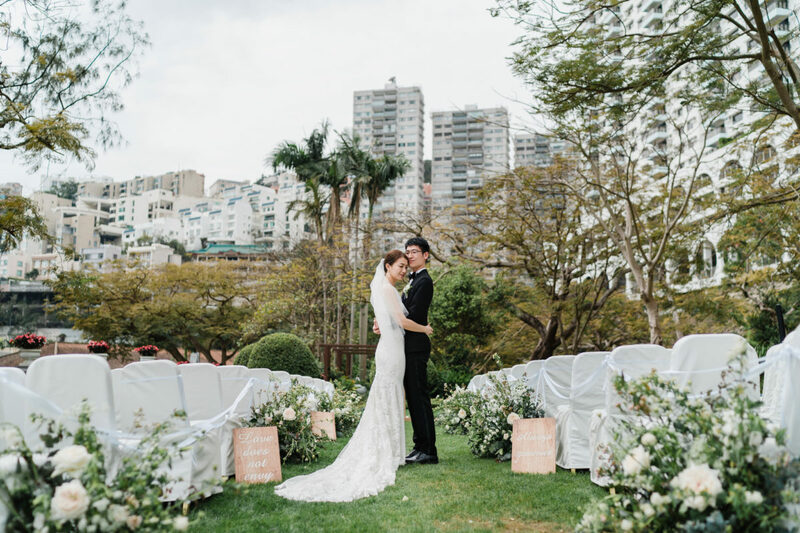 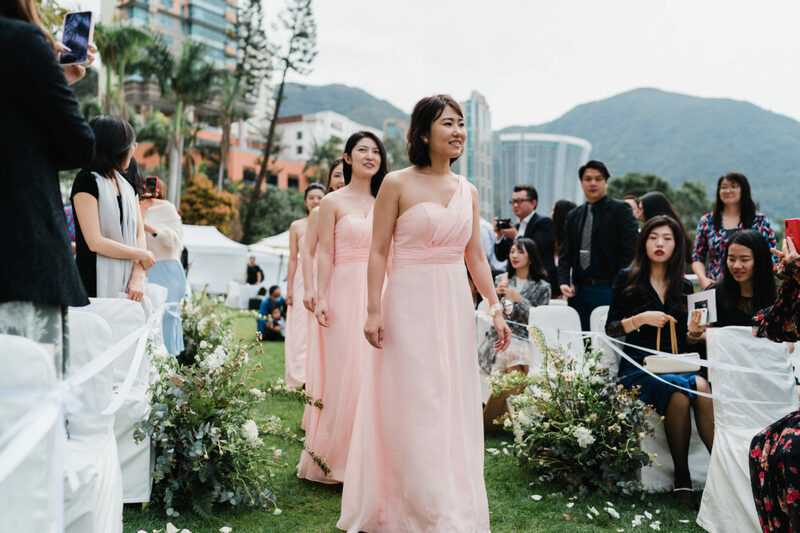 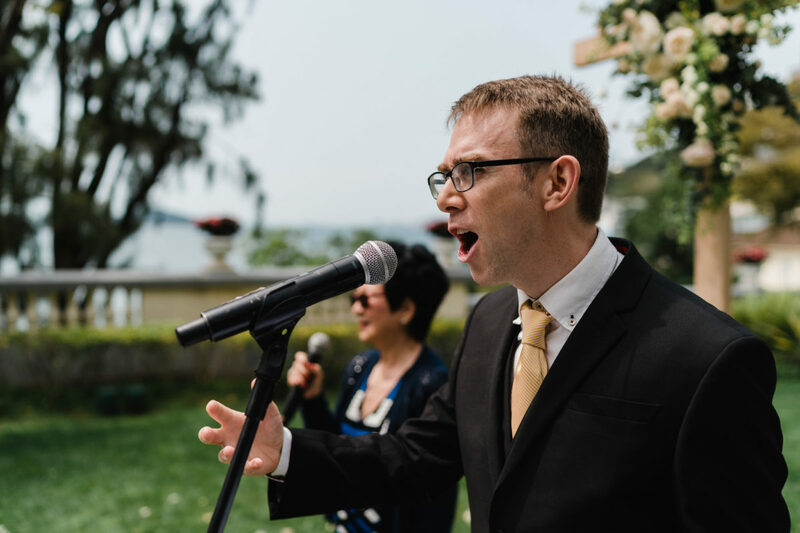 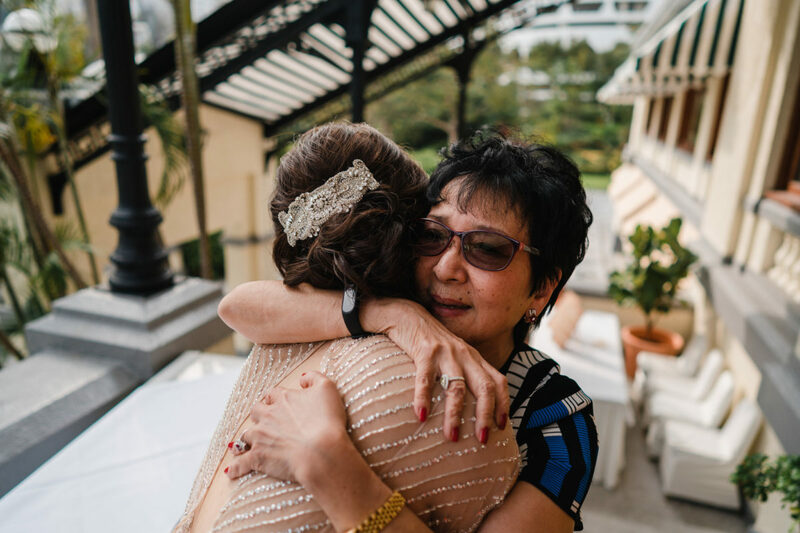 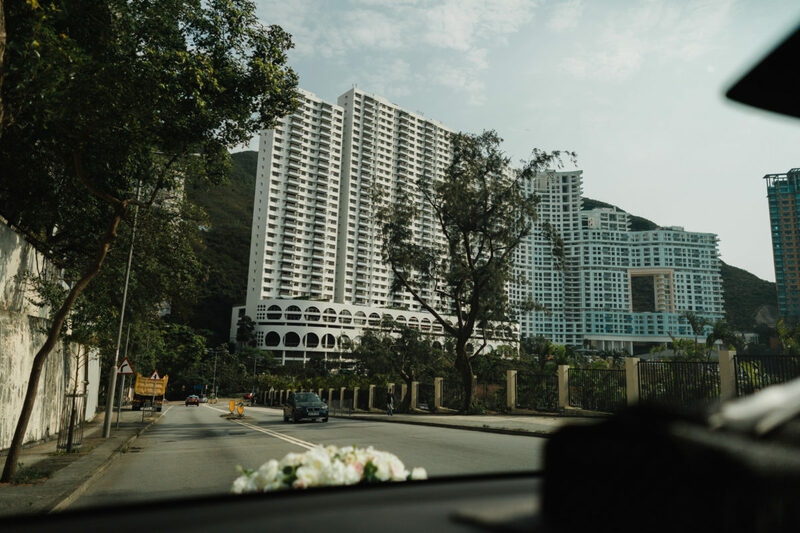 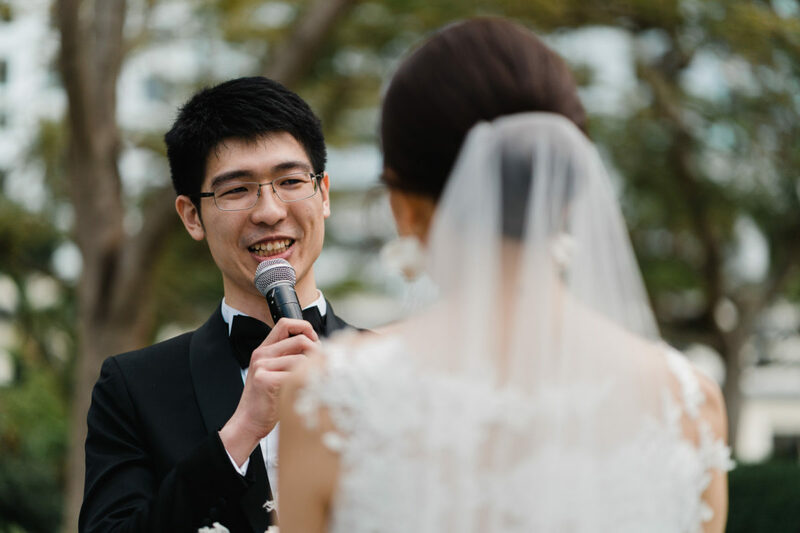 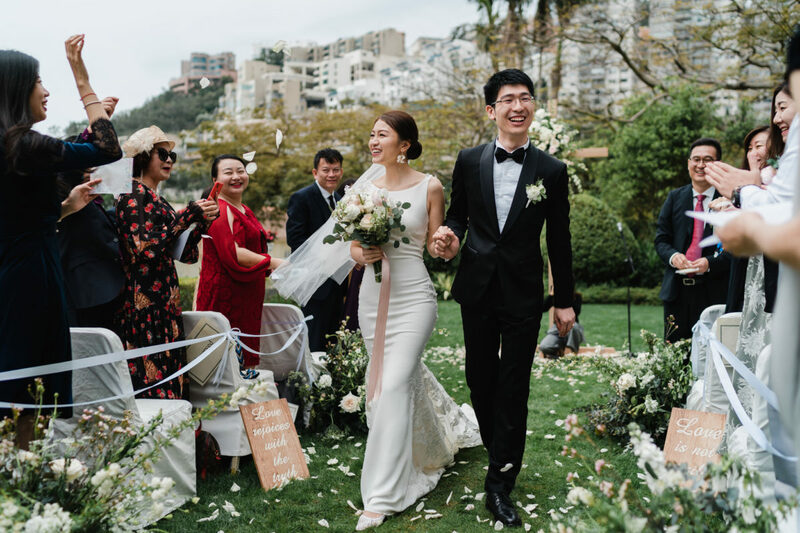 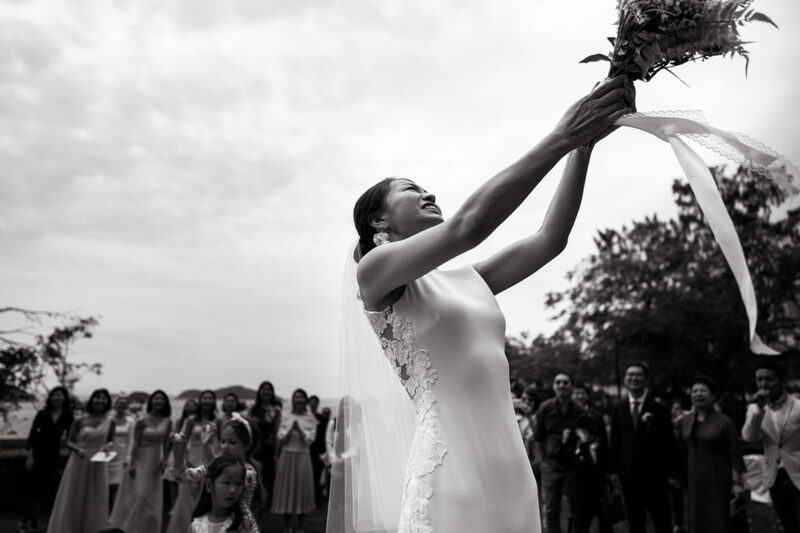 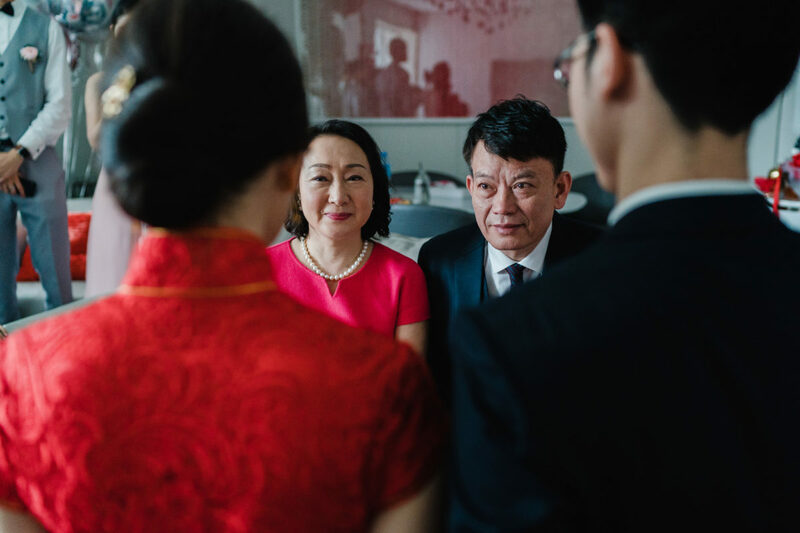 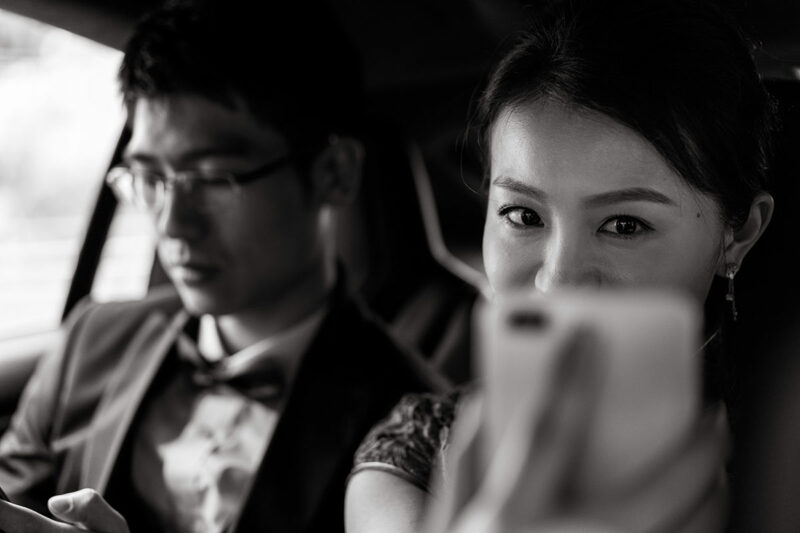 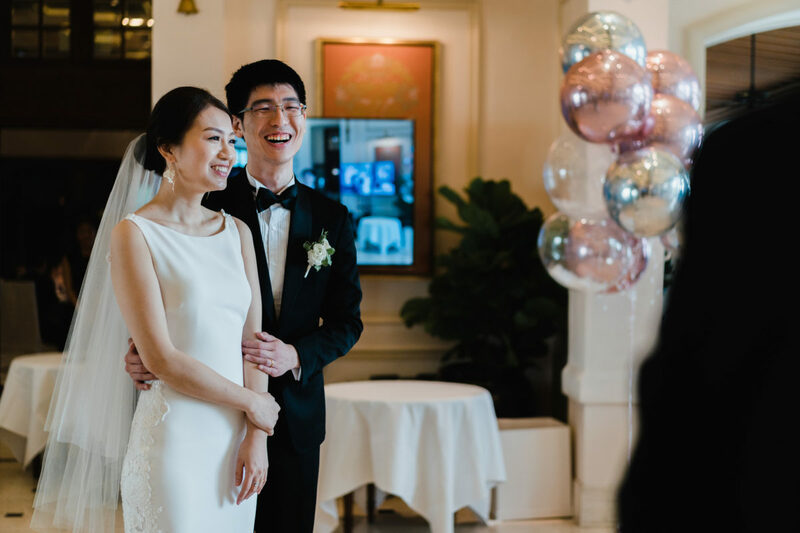 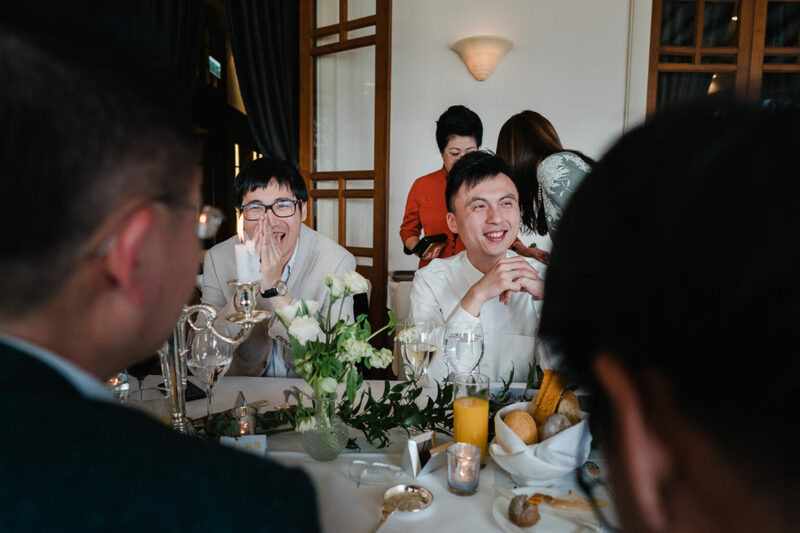 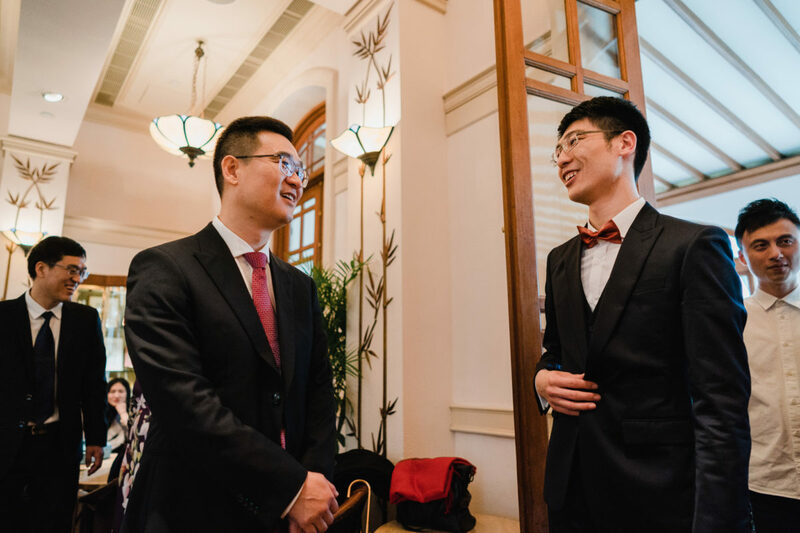 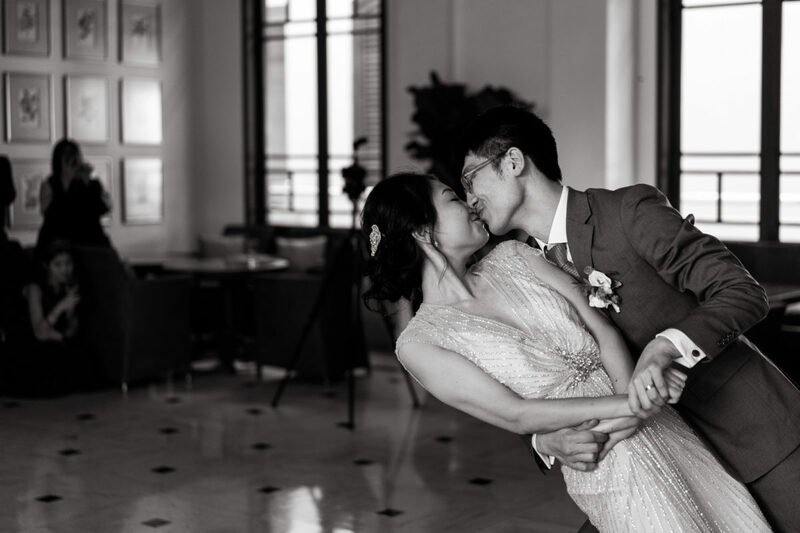 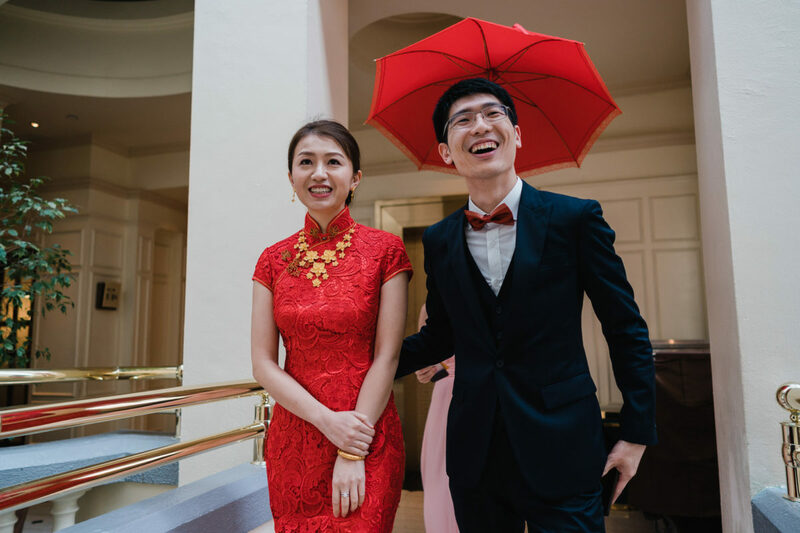 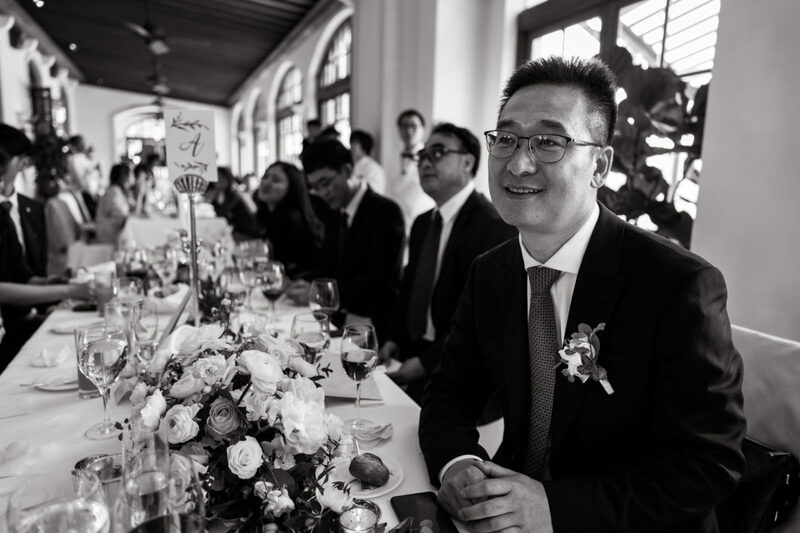 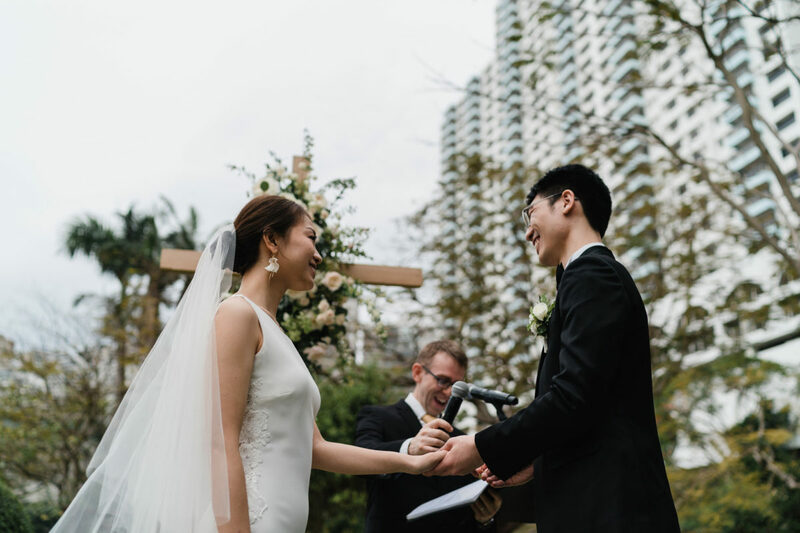 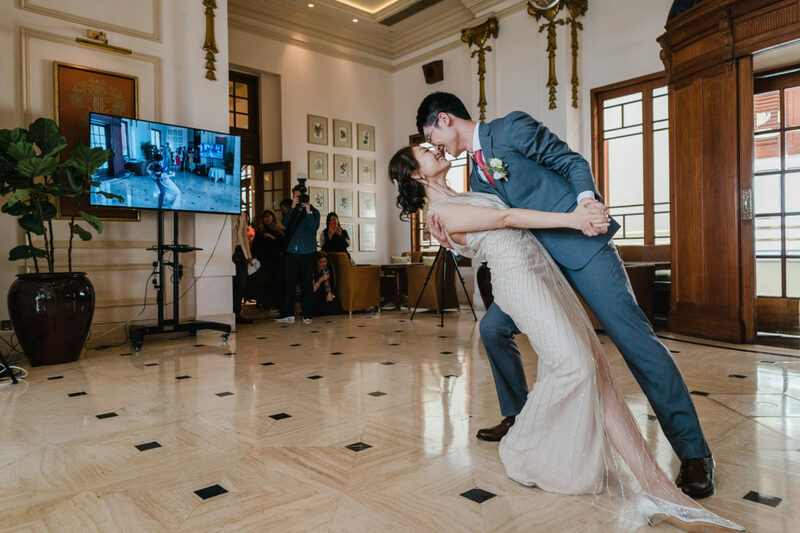 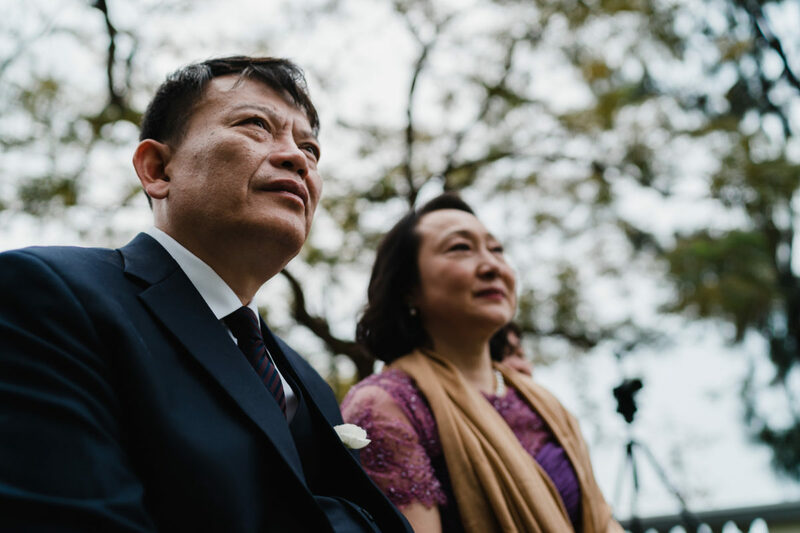 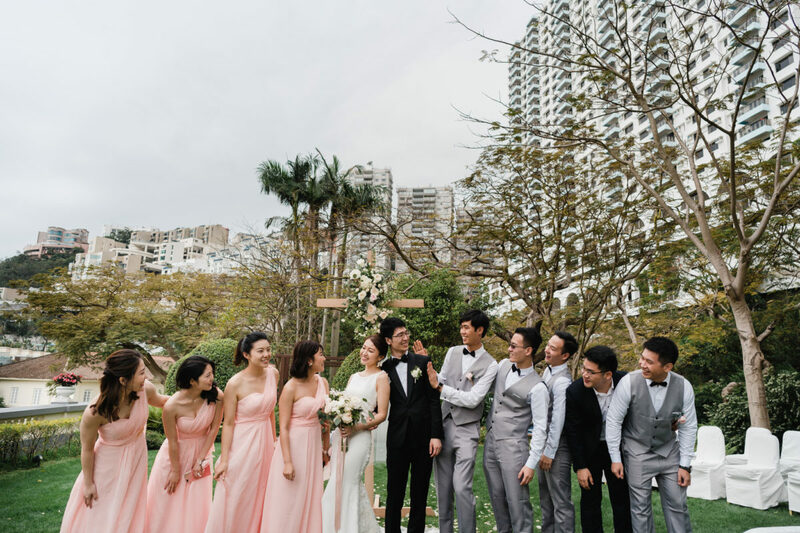 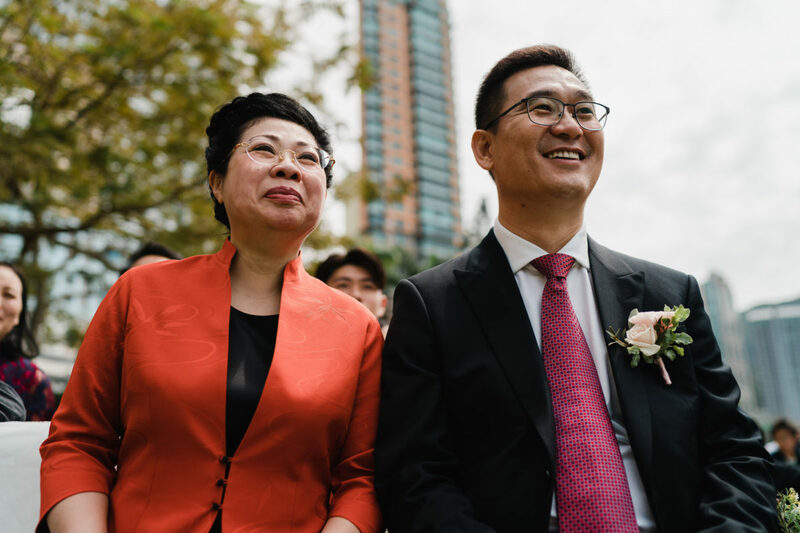 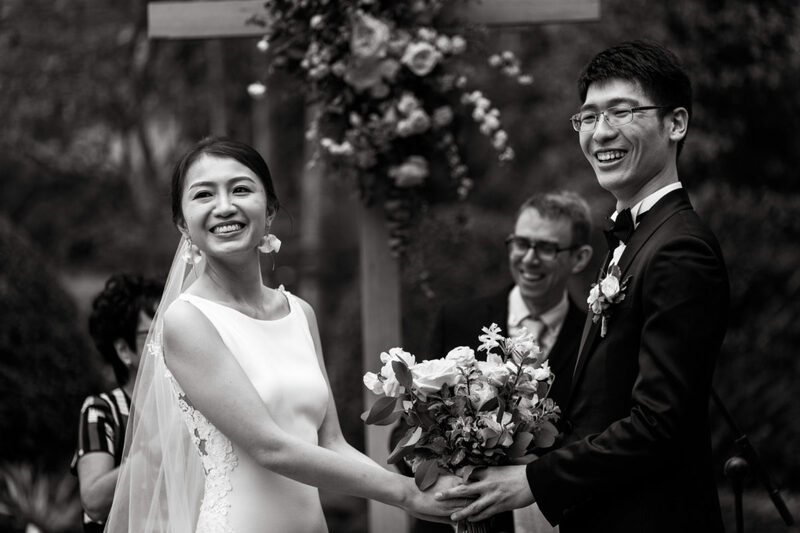 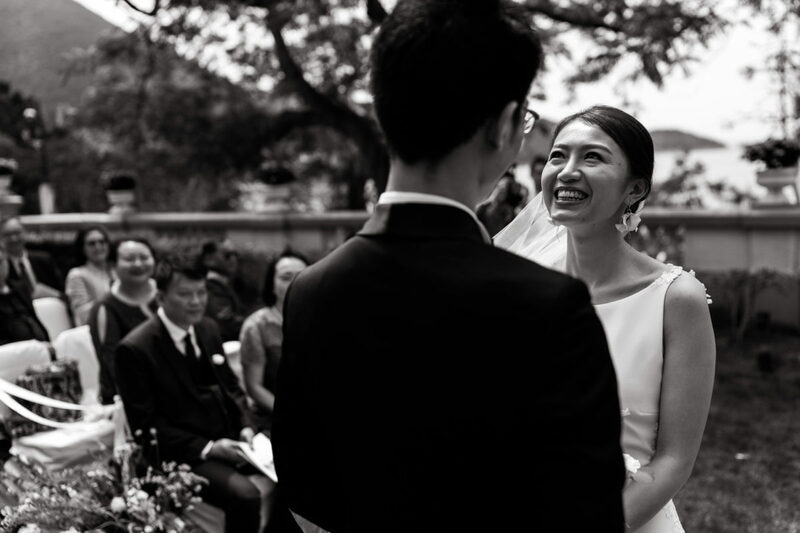 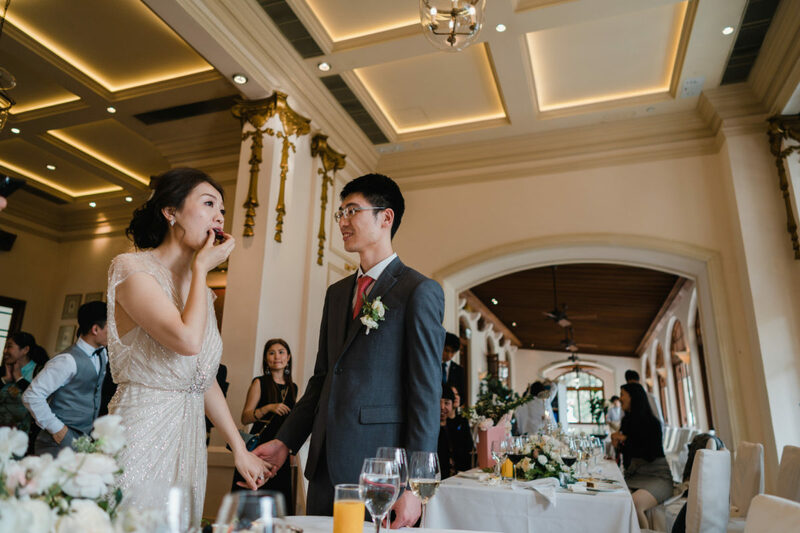 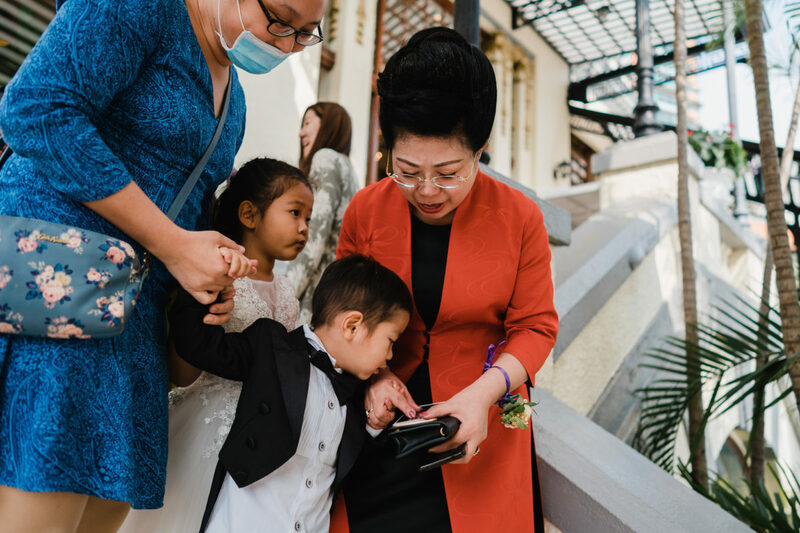 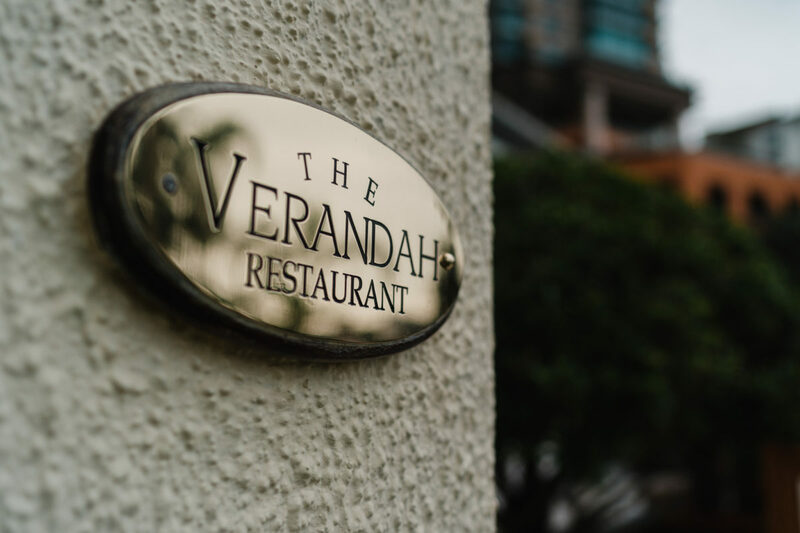 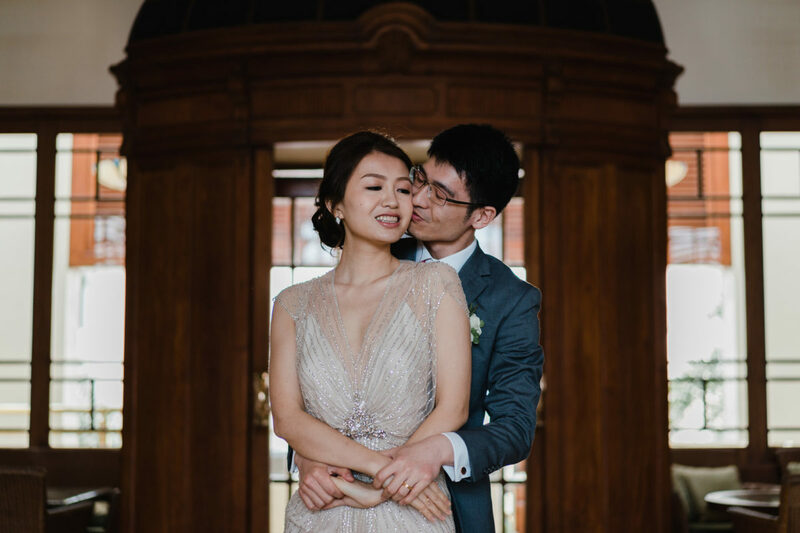 Ivy & Peter’s Verandah Repulse Bay Wedding was a beautiful affair. 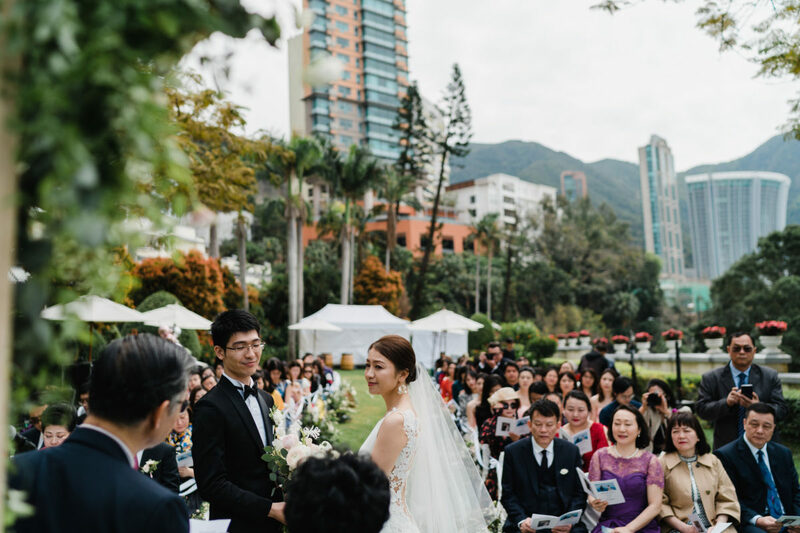 We had rain on both days preceding and following the wedding day so we were all very anxious and praying for dry weather. 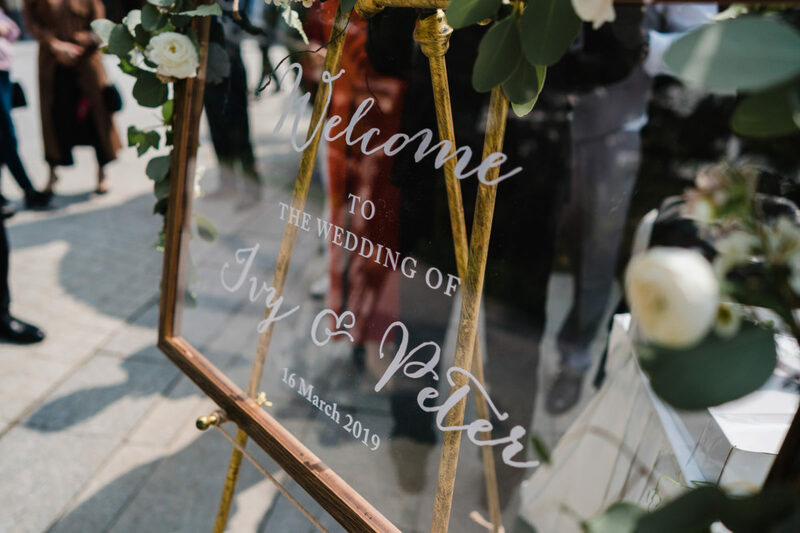 Well god was kind to us this day and we were treated with a wonderful warm breeze as Ivy & Peter said their vows in front of their closest friends and family. 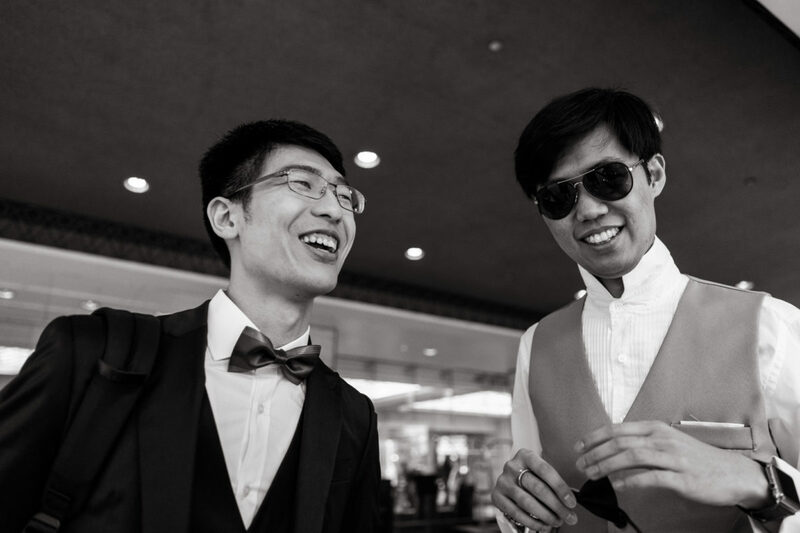 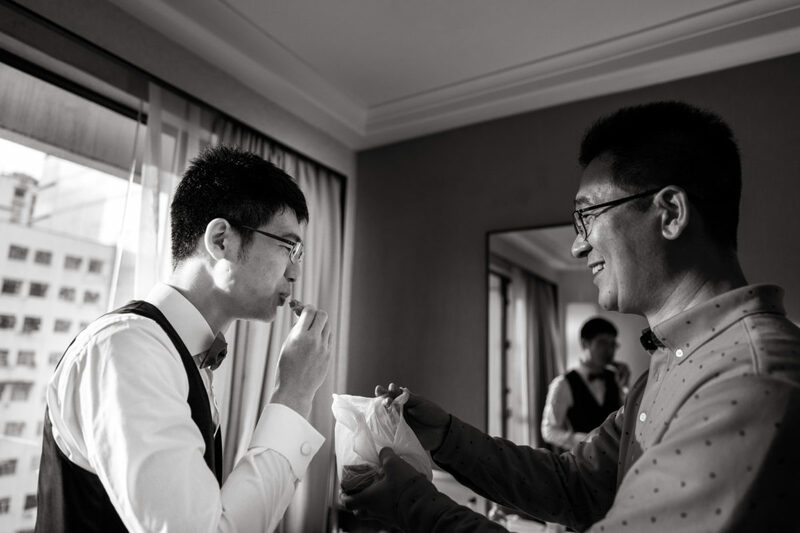 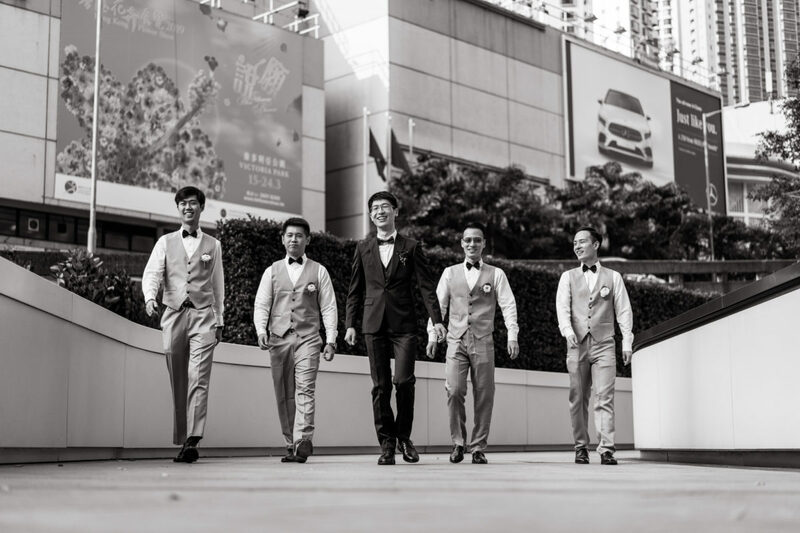 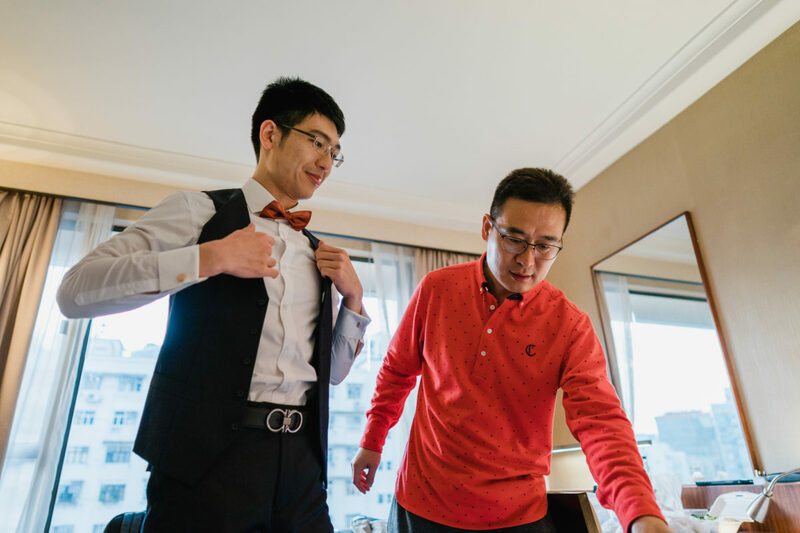 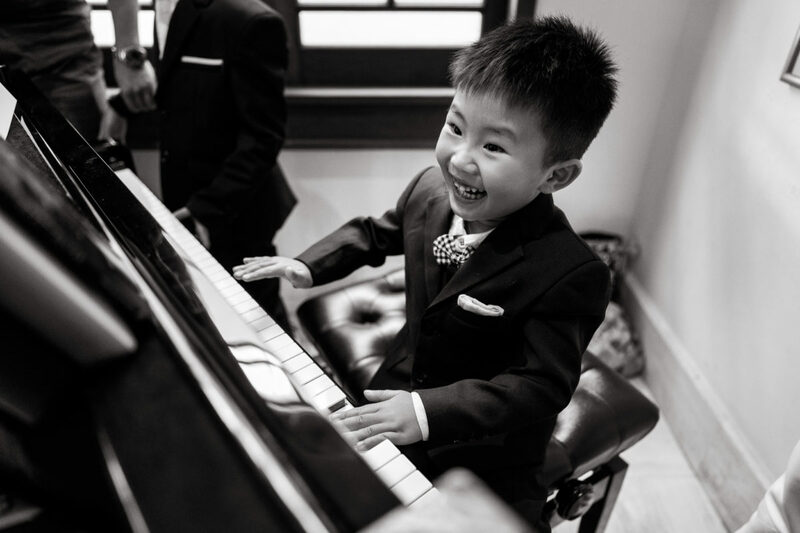 I started with groom prep at City Garden in North Point, the boys trying to get their bow ties to fit was a novelty! 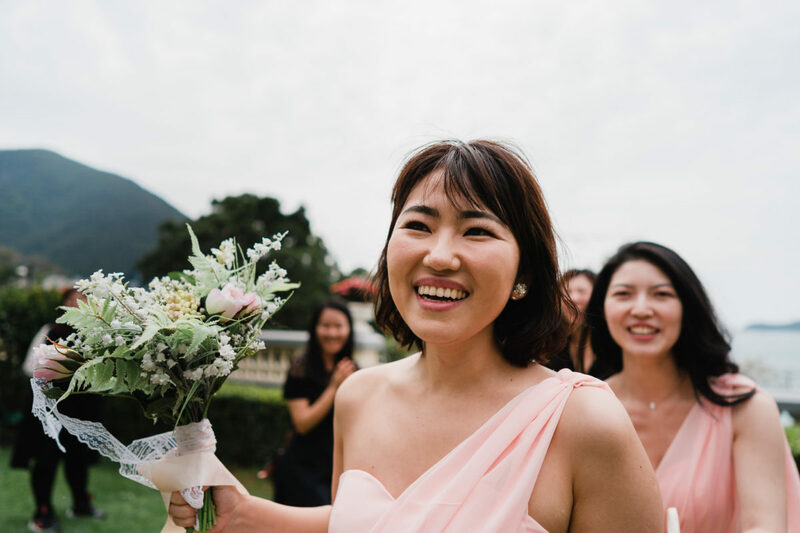 We picked up the bride Ivy from The Murray and because we were pressed for time the boys only had to do a short workout! 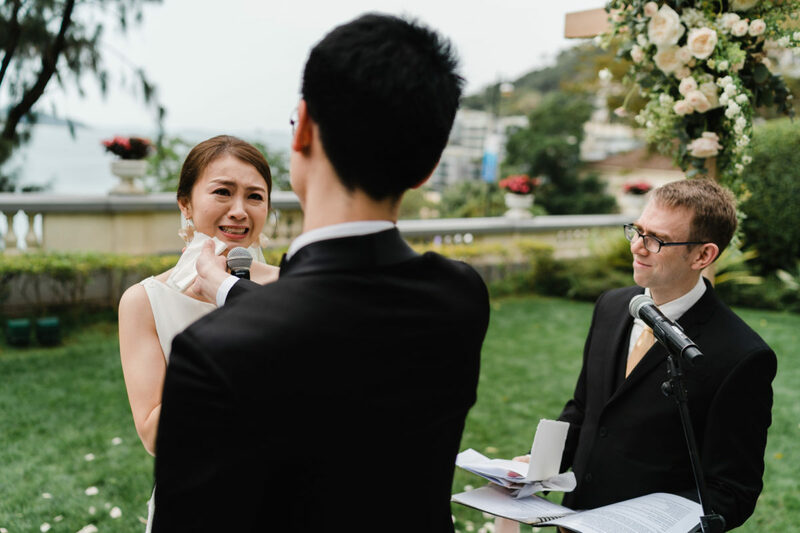 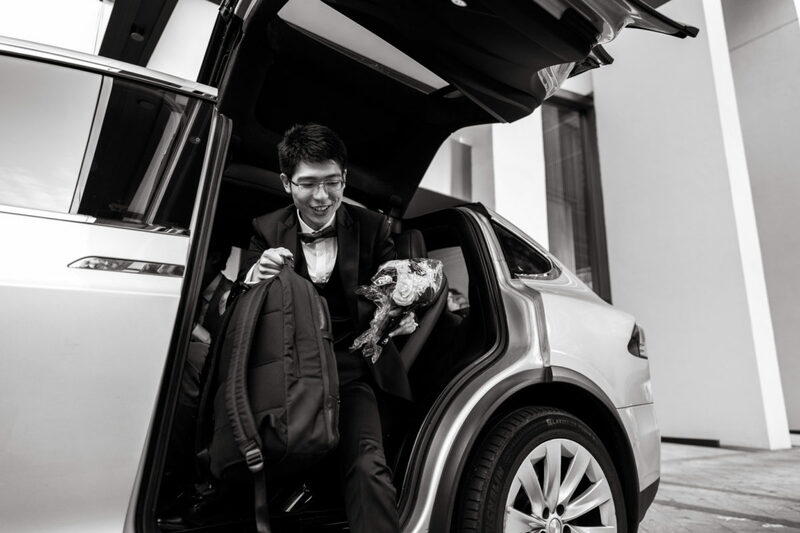 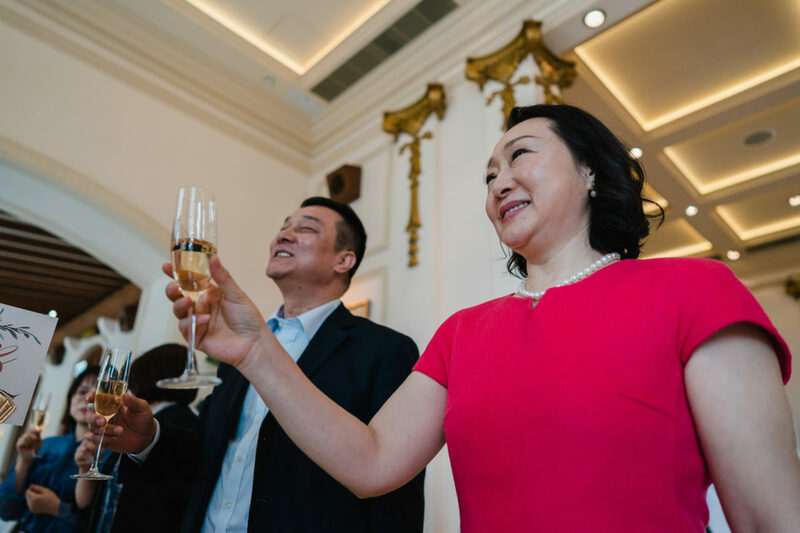 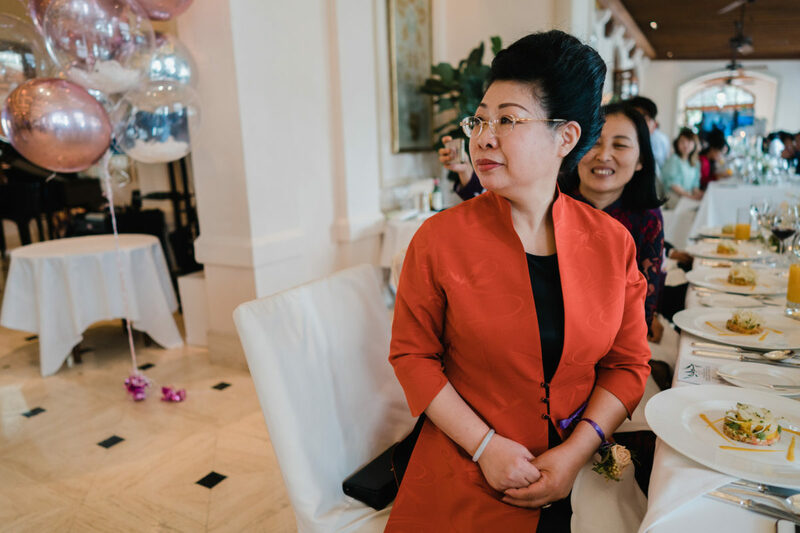 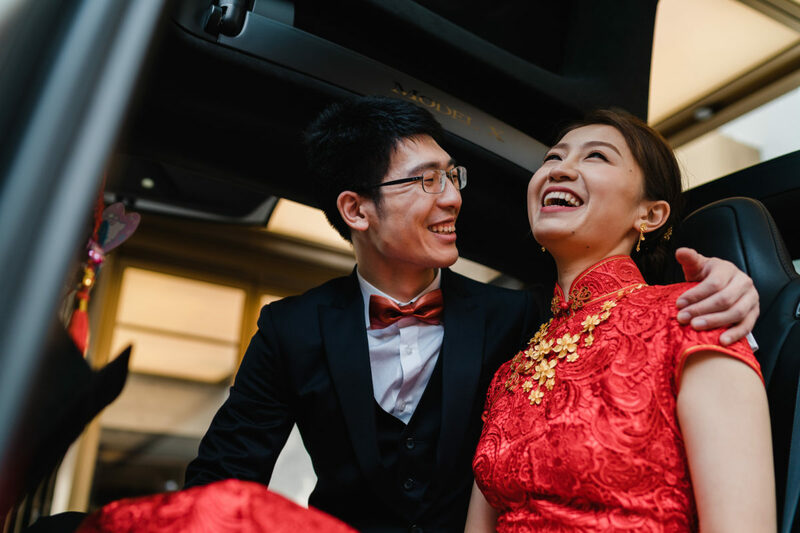 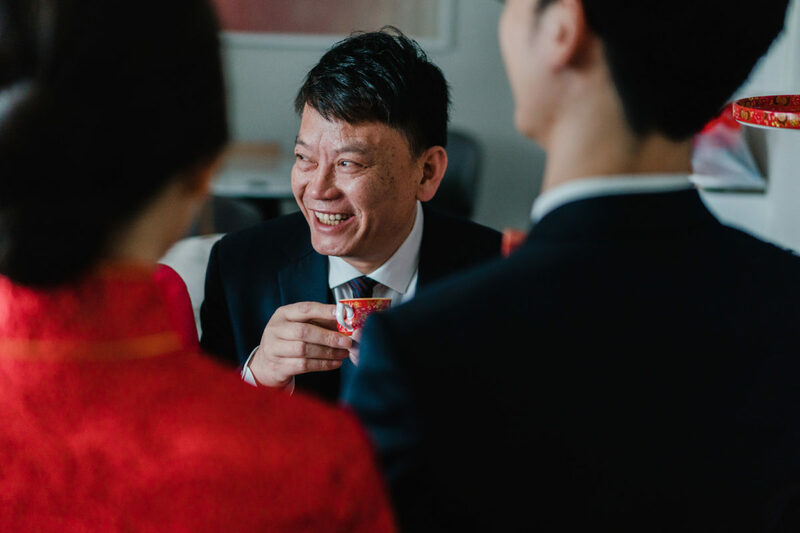 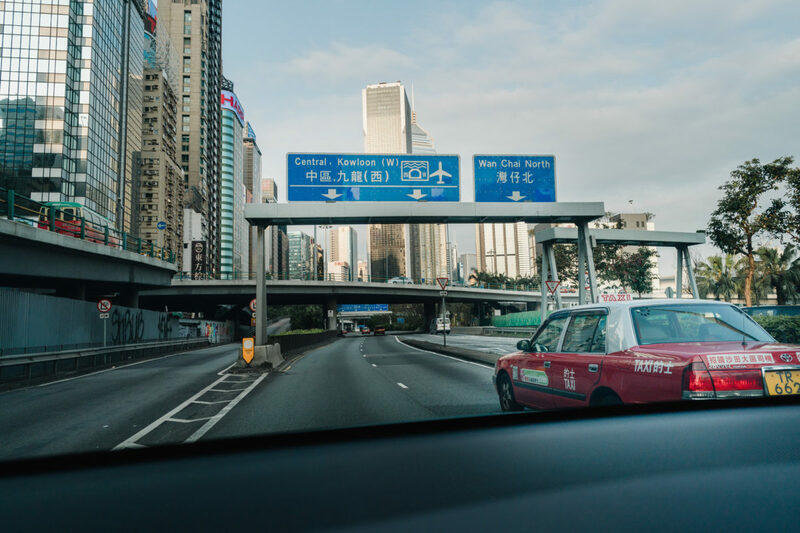 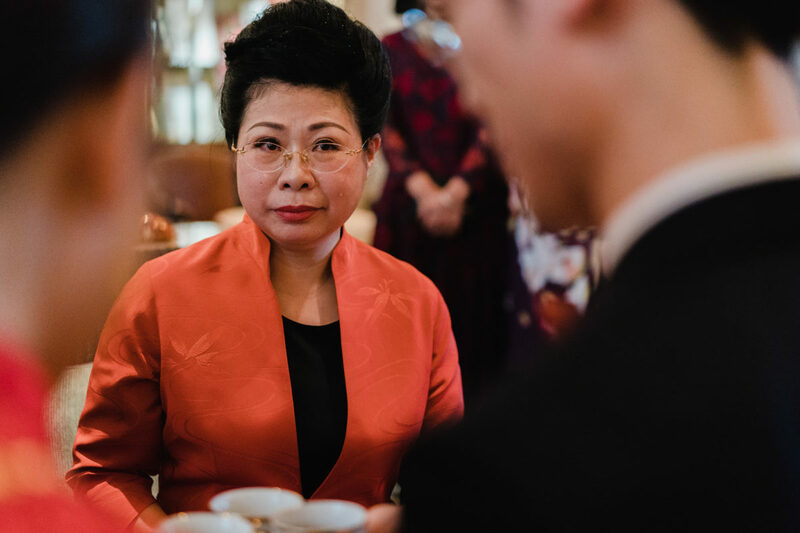 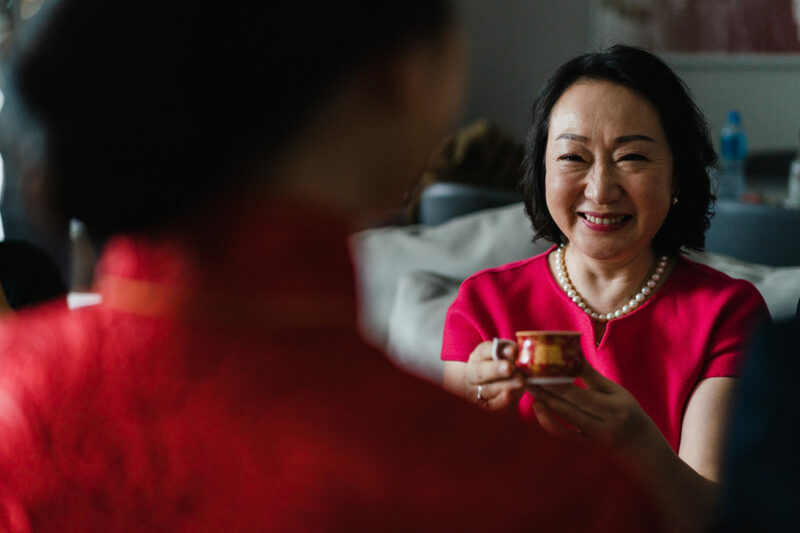 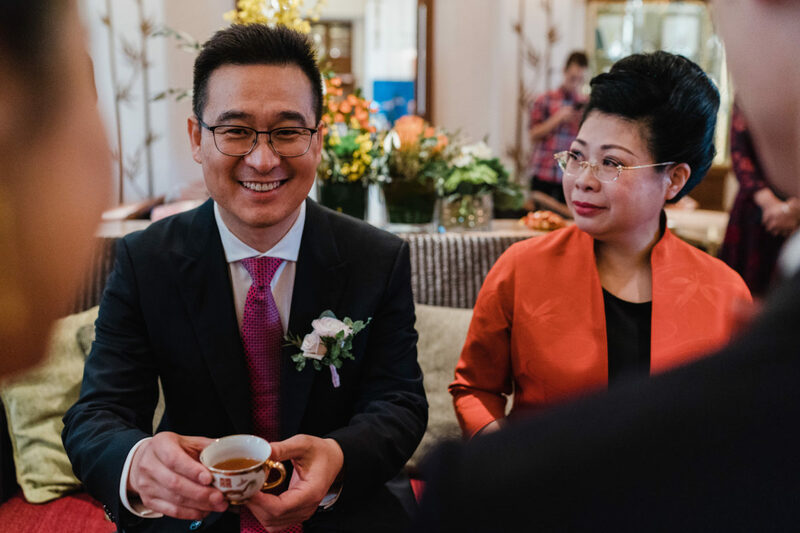 Tea ceremony for Ivy’s parents then off in the Tesla to The Verandah Repulse Bay for the wedding. 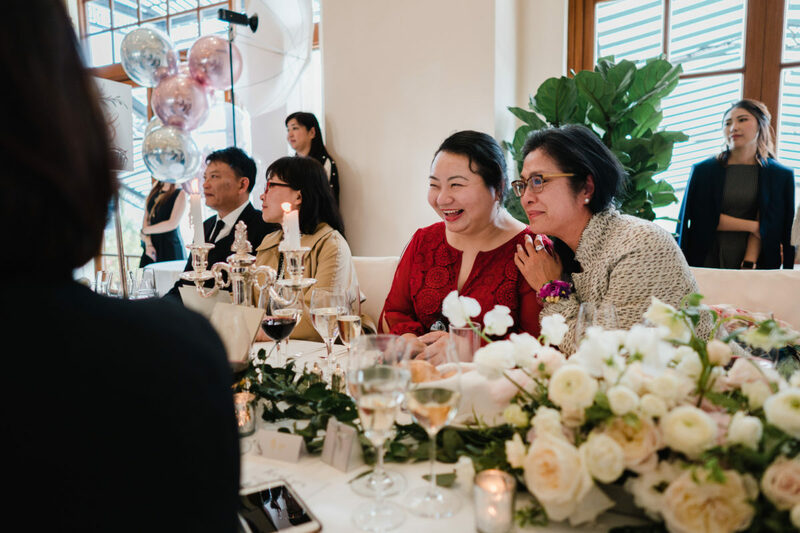 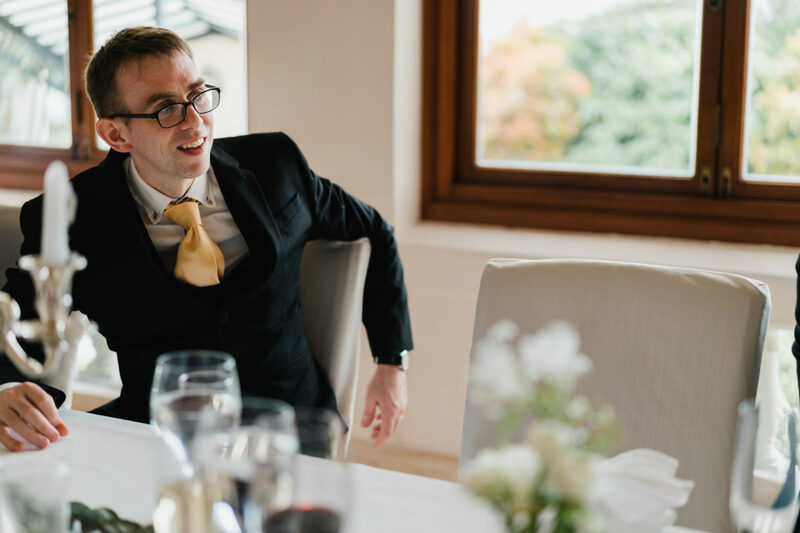 I mingled with the guests whilst Ivy got changed and captured the beautiful flowers in the aisles by My Elegant Wedding. 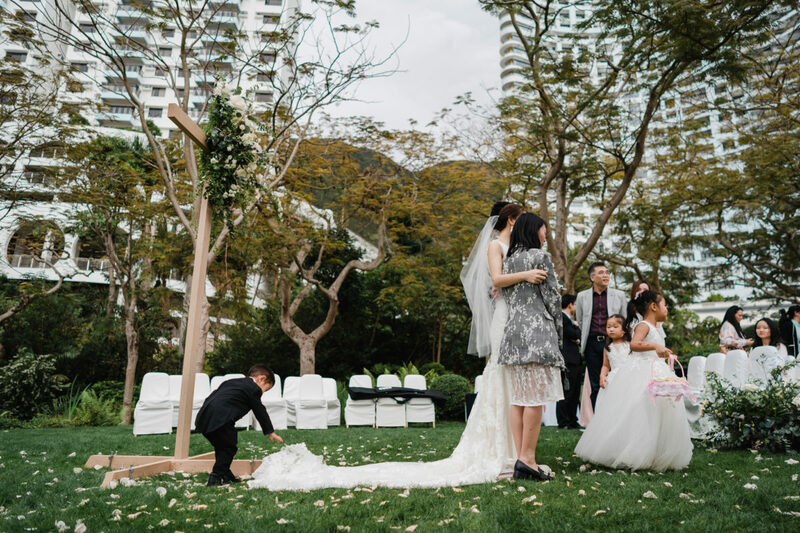 The ceremony started led by the flower girls, then the bridesmaids and the main event Ivy & her Dad. 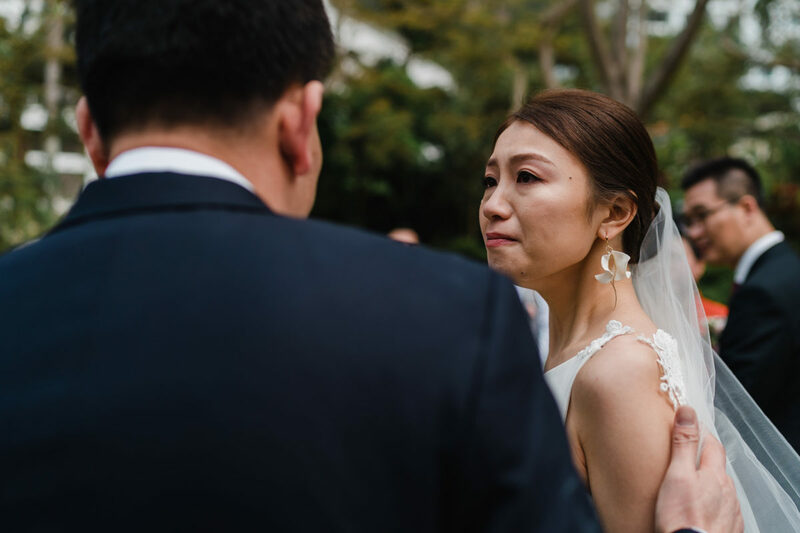 The tears had already started to well up and we were only just beginning. 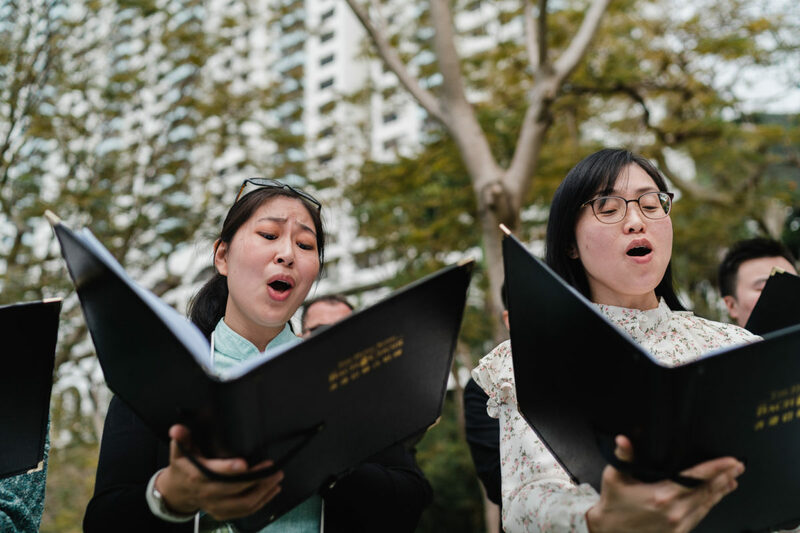 It was a beautiful service, voiced by the choir from Ivy & Peter’s local church and we all had a good sing along. 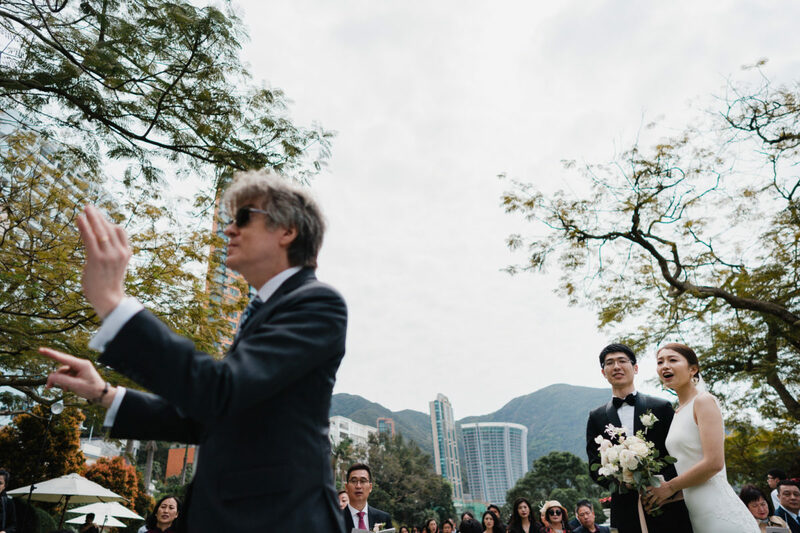 Then it was rings, kiss, and processional. 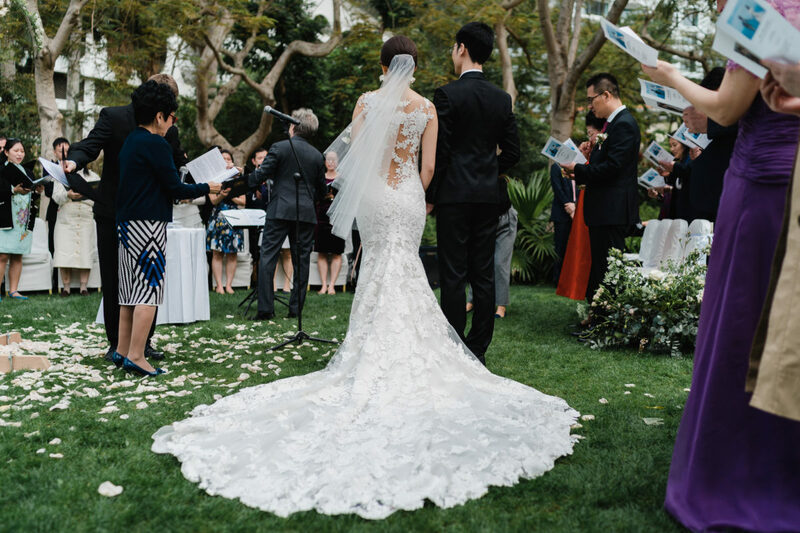 Lots of confetti on this one, well done guys. 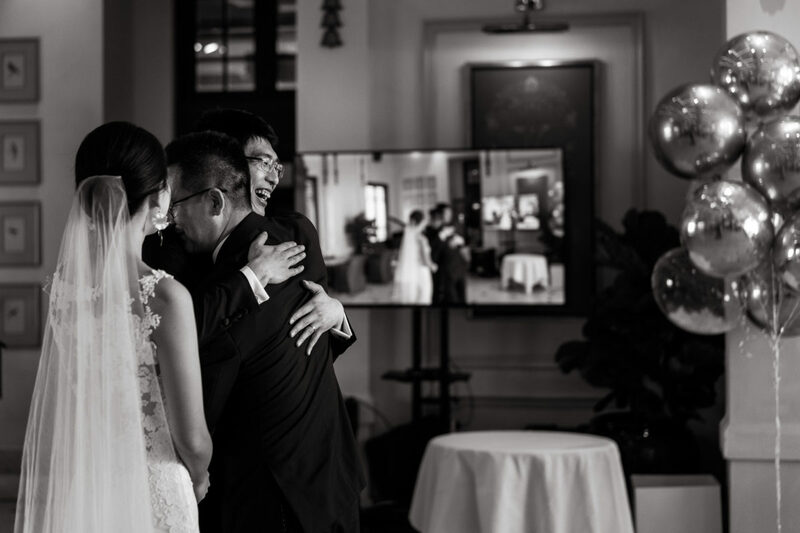 Inside we had the speeches and a wonderful first dance from Ivy & Peter, that they had clearly been practicing for some weeks. 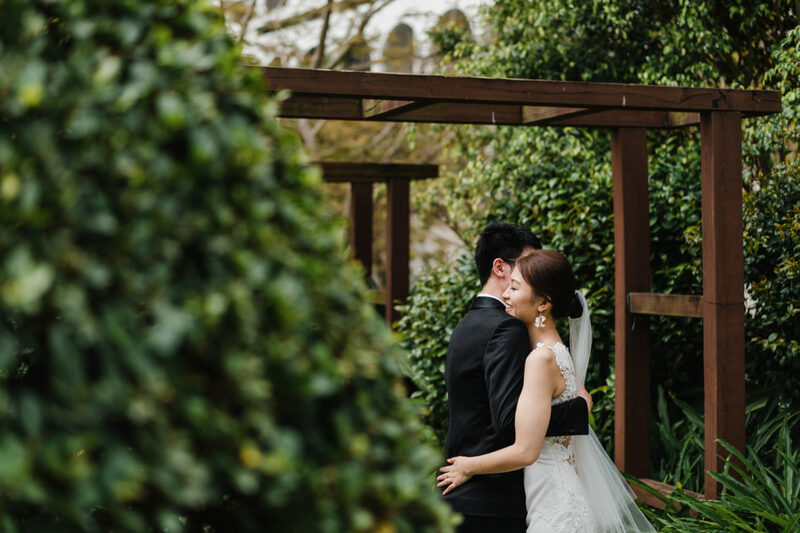 All in all it was a beautiful day and quite nice to finish before 5pm for once!